I couldn’t believe it, really. I was sitting on my couch, watching old-fashioned, over the air TV (something I rarely do) when I saw it. I looked up, and there it was. It was nearly perfect, in my humble opinion, anyways. Afterall, the commercial was made specifically for me, so it makes sense I thought it was perfect. The tone, the images, the sense of reality all drew me in immediately. The music was perfect- the tone was eerily moving and capturing. I wanted to know more. And as I continued to watch, cognizant that time was elapsing, I became weary- this is really a commercial? It’s so long, no way they would pay a network millions of dollars just to get me to watch this. Commercials are supposed to be 30 seconds, maybe 60 seconds. But this commercial was 2 minutes- an eternity! How did I know it was specifically for me? It was obvious. I was so intrigued by all the clips, the storytelling, and way it was put together. But also the way it stopped me in my tracks, there was no way this was not for me. I was sitting on the couch next to my wife, and she knew it was just for me, too. She saw how I reacted and wanted to know what I was drawn to so much. And she was impressed. I captively waited until the end, so I could see who made this incredible piece of content. Whoever it was, I wanted to know so I could brag to all my friends, and remember this brand and be loyal to them. After all, they cared about me. I should return the favor. You probably connected with it pretty well, too, huh? It’s that good. You probably think they made it just for you. You say, they didn’t even shoot a single frame themselves. They used UGC for the entire piece. You might see this and think- this is standard, par for the course, everyone felt like this in 2017. Everyone felt the same way about the natural disasters and political atmosphere. You might be right, but that’s not what’s important. The fact that Google made a piece of content that connected so well with an individual is the point. They narrowed it down to an audience of one. Not 24-40-year-old males with a college education living in the US. Yes, I fit in that demographic, but I’m not a demographic. I’m a human. There are plenty of others just like me. And when you care about who your audience is and care how you connect with them, you care about why that matters. Discovery and defining your audience is the most important step. Focus on one, and hope that one likes it or even loves it. The rest will take care of itself. This is Part 4 in a 4 part series on Story Discovery. In Part 1 we talked about our Problem-Solving approach to story. In part 2 we discussed pre production research and identifying an audience. Part 3 covers themes, guiding principle and keywords. You should read those posts before this one. As we’ve discussed in earlier chapters, interviews are incredibly valuable to defining your story, understanding the problem, creating a solution, and knowing what characters are available for inclusion. There are two kinds of interviews we’ll focus on: Pre interviews and on camera interviews. It’s not uncommon for stakeholders to be unaware, or unassuming of potential characters, and by talking to and interviewing people involved, you can find out about interesting use cases, applications and other characters who might be involved. For example, working with Peter Harsch Prosthetics we learned of the tremendous impact his patients had on him, and then seeked out a few patients for inclusion in our story. This may sound surface level or obvious, but it’s the manner in which we found these characters that made our story so powerful which allowed for an impact on their business. Knowing what to look for and how to conduct these interviews will yield better responses, characters and elements for a stronger story. Finding the answer to solving the problem is done through a series of questions and answers conducted like a conversation where trust and empathy are present. Pre interviews happen long before the lights and camera are rolled out. They’re usually done in a casual environment that will spark conversation. This is part of User Research we mentioned in part 2, and the goal is to learn about a subject straight from the source or users or customers. In order to go into these pre interviews without looking like fools, we’ll need to have completed other aspects of research. This is the only way we can get any kind of substantial information from our interviewees. Displaying subject matter knowledge also shows a sign of respect to your interviewee. When she/he knows you’ve put time into learning about their space, you’ll earn respect back. 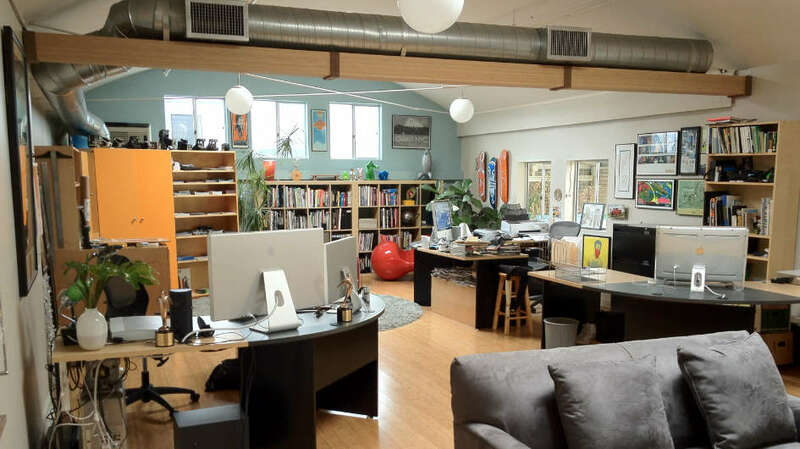 Not to mention if the interviewee is extra passionate about the space it will be a much easier conversation to have. For our project with Peter Harsch Prosthetics, we had to interview several patients and get their backstory. Being interviewed was a sensitive task for a few of them and through the interview, we learned that they sometimes feel uncomfortable in certain situations where they walk in and everyone begins to stare at them because they are missing a limb.. We need to know enough subject matter knowledge beforehand to drive the conversation appropriately and respect their space. Knowing that one of our PHP interviewees was a fan of craft beer, I suggested we meet at a brewery next door to our office. Showing our interviewee, Daniel where we worked and what inspired us allowed him get to know us a little bit better. From walking next door to a brewery to have an engaging conversation in a casual and comfortable setting, we created a space for both of us to share and connect. It’s important to remember that in these situations, we have to give to get and be mindful that taking time to introduce yourself, conversate and get to each other will go a long way. We share our experience or show empathy to develop a relationship, and once we have a rapport with someone, we get so much more out of these pre interviews. Shifting the way questions are asked is a great way to create engaging interviews and to always search for the deeper meaning behind something that may not be immediately obvious. This is true for pre interviews and on camera interviews. During pre interviews, this furthers the space you create which allows you and your subject to bond and build a connection. This allows for on camera interviews to have responses with significant depth and flow. Providing context and setup helps bring the interviewee into the question and helps them respond with greater detail. Leading questions with familiarizing statements or acknowledgements bring the interviewee back to the foundation and allows for responses with a complete sentence. Asking why after a statement or response does little to get beyond the surface, but asking why X made them feel a certain way or another way is essential to diving deeper and getting the answers we are looking for. We may even ask a seemingly similar question that may yield a completely different response such as why they think X affected them in such way which will in turn provide deeper and more personal answers. Another question we love to ask: How did X make you feel, can you describe it in detail? This leads to much more profound responses that are engaging and provide stronger material for stories to flow. Remember, we’re not trying to tell everything about a story but a specific part or perspective that truly connects with our audience. Staying focused increases engagement, and story is as much about what we include as about what we don’t. The power of editing. Being asked questions in front of lights and cameras is daunting. We understand that it’s incredibly easy to become self conscious and freeze up. This makes getting the answers and responses you want from your characters difficult. At this point, you know the story pretty well, thanks to all of the research conducted, planning and discovery from earlier steps. In documentary productions, we know how we want our story to unfold, but don’t know the exact verbiage that we’re going to get from our characters. While this may be challenging, at this point we know what we want to hear and what we should hear. This is why pre interviews are so critical to our success. We’ve taken notes on our subject and created a connection with them, we know how to make them converse and how they converse. Mannerisms, long-winded answers, short & incomplete answers- these are all challenges that we can work through, but oftentimes are heightened or exacerbated when the lights and camera are out. It’s important to actually start the interview before hitting ‘record’ on the camera. We let the interview start naturally and get the conversation going like we would if cameras and lights weren’t present. As you get to your seat or production position, begin to engage and recreate with your subject the same you developed during pre interviews (you should be an expert at this by now). I always tell my team to give me a signal once we’re rolling, that way I know what exactly is being captured on camera without a jarring interruption with the interviewee. Try to avoid saying, “Okay, we’re rolling now so let’s get started.” This will instantly make the subject feel self conscious, unless they’ve been on camera plenty of times and are are used to it, but this is the exception. During the interview, try not to look down at notes or questions. Remember, if this is a conversation that flows, and if you’ve done the proper research, you should be able to remember questions and guide the conversation naturally. Looking down between questions will remove the space, flow and connection you’ve created with your subject and this will show in your final product. Never say never, but these kind of intros set up the interview for canned responses, which is far from being a true storyteller. If we want to create an engaging conversation, we need to conduct interviews like engaging conversations- something you would do at a coffee shop or while having a beer with someone you know. Interviews play a larger role in documentary projects but in scripted content for commercial or branded entertainment, they are also relevant, especially in the discovery phase. These interviews are essentially the same as pre interviews for documentary pieces and are aimed at gathering info and user research. While nothing compares to interpersonal conversations, video chatting via Skype or Google Hangouts work pretty well too. With potential characters located all over the world, this is a viable solution. Now that we’re getting into the nuts and bolt of production, where we actually shoot and create, we’re talking about more tactical aspects of story but these decisions are made in the discovery phase. The look/feel/mood of should support our guiding principle and keywords that solve our problem. Let’s look at the different lighting setups we used in two different projects. These two stories have unique looks that have an effect on the storytelling experience and how we want the audience to feel when watching them. For our project with Helping Haitian Angels, we wanted the audience to feel empathetic for the orphaned children living in Haiti. We wanted the audience to get a feel for what life is like and pull at heart strings, encouraging them to take action- a donation or volunteer time in Haiti. 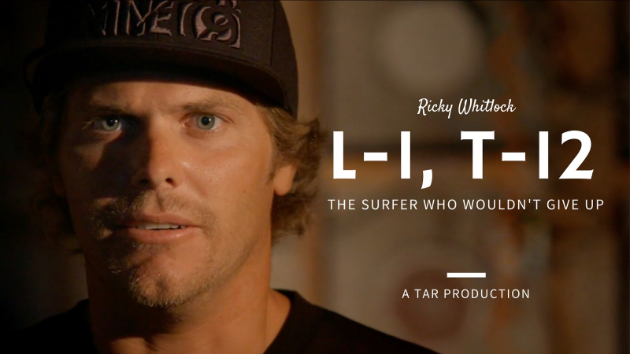 On Ricky Whitlock: L-1, T-12, we wanted the audience to feel the pain of a broken back and the intense, physical work Ricky was going through to get his professional surfing career back on to where it was before his injury. The sharp and high contrast ratio lighting in his interview helped bring the audience into the scene. We feel for Ricky, while at the same time we want to see him succeed, because we feel the work he’s doing. Both of these interview styles support our solution to the problem. They are intentional, but subtle and support our purpose. They were direct findings from our discovery sessions and make made the films so much more effective. Thanks for joining us through this four part blog series, make sure to leave any questions on discovery or interviews below! This is Part 2 in a 4-part series on Authentic Story Discovery from your Emmy-Award nominated friends at TAR Productions. In Part 1 we talked about our Problem-Solving approach to story. You should read that post before this one. If you’re familiar with ethnography, some of the research we do as part of our discovery process might ring a bell. 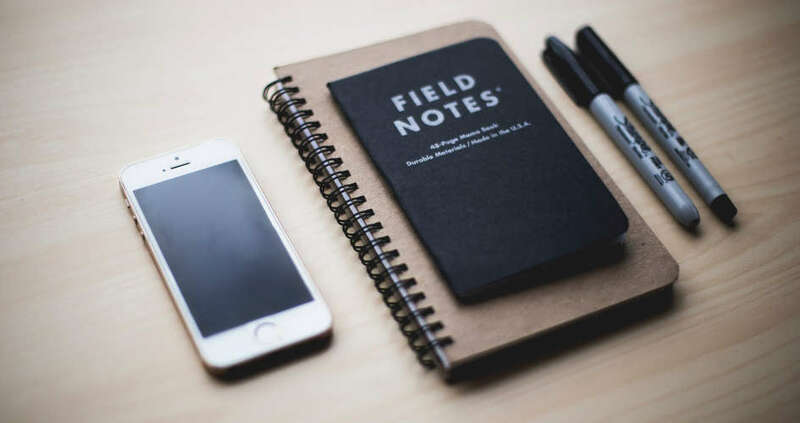 Ethnography is an approach to communication and anthropology that seeks to best understand how people live their daily lives by researchers becoming part of the in-group, observing, taking notes, and asking open ended questions that are non-directive. This is something that we heavily value during the discovery phase. Ethnographers seek to understand people in their natural setting to truly understand their attitudes, beliefs and culture which is so much of our driving force throughout our discovery process. Ethnography has proven to be successful and has been implemented into corporate and business settings to better solve and understand problems and find solutions. Research during the discovery phase is paramount. On any given project we have several research options we can take and depending on the specific situation, some make more sense to pursue than others. The discovery process is fluid, one that moves congruously and swiftly as many channels are developing at the same time and overlap. We never know where discovery will take us (remember we already removed all predispositions on what possible solutions could look like, as we discussed in Part 1), but our curious nature never fails us and in result, we end up with the required information to solve our problem through the methods outlined below. There are various types of research we perform. While not every type is appropriate on all projects, here’s a breakdown of what we usually do. A stakeholder is anyone who has a say about what goes into the project and cares about the outcome of said project. We’ll have more tips on interview techniques about conducting pre interviews and interviews in part 4. Our clients will always be the experts in their space, however, with collaboration and a clearly defined guiding principle we can better accomplish goals as a unit. This means getting up to speed as quickly as possible and learning their product lineup or service from the inside out. Essentially, we work like sponges and aim to become experts in our client’s space as much as possible. When we’re viewed as an asset or extension of our client’s team, we can better position ourselves for success. During this step, we review collected data with stakeholders and refine our findings. Sometimes our findings are deemed insignificant, and other times, revealing. This is what discovery is all about- figuring out what we don’t know. Reviewing previous efforts let us know what works and what doesn’t work. Are there any takeaways from these findings? What failed and why? Oftentimes, brand identity and style guides are overlooked but are valuable pieces that are helpful for us to create matching or supporting assets.. The look/feel/mood of our films should be on brand and relevant to the target audience. A great deal of parallel work is done during brand creation and voice, so naturally this is important information to review and consider. We also look to see how customers, employees and users are onboarded. What does this process entail? When was the last time this was overhauled? These questions and findings can spark an idea or provide insight into company culture and behavior. This is one of the most important research methods we implore on projects. Our research i similar to the ethnographic approach to communication/anthropology where we talk to customers about their experience,opinions and life. Of course, to perform this with any kind of confidence we have to do domain research first. We create a set of initial questions to ask that provide concrete data that’s comparable on a user-to-user basis allowing us to identify trends or patterns. It’s important that when talking to users we don’t sound scripted or are constantly looking down at our notes. In order to get true answers we have to know our questions and ask them conversationally. Remember, story leads us, so it’s not uncommon for us to deviate when asking follow up questions to go deeper- this is a good thing. This is another trait of ethnographic research. Finally, when talking to users, we challenge assumptions and think that’s ok especially when given vague answers. “Works great,” and “Yes, I love Product X” are too vague for us to get any kind of clear support or story direction. We have to know what is great about the product and why a client may love it so much. From here we can expand and further allow the story to continue to lead us. Suggestions on an action or behavior give us the opportunity to ask “why” while exploring the deeper meaning and potentially revealing valuable insight. This is where we find our story, this is how we get users to identify what exactly they like or love. Talking to stakeholders and customers provide unique insight into a company and/or its products/services, but what about our unique experience trying it? We can’t ethically stand behind a story we share without experiencing it for ourselves. This is where we once again implement an ethnographic approach to our research. By immersing ourselves and becoming part of the environment, we are much more able to understand our users and stakeholders. We love to do this in a natural environment. For example, Peter Harsch Prosthetics (PHP) told us their office was more like a coffee shop than a medical office. Prosthetics was something we had no prior experience with so this was hard for us to grasp initially. How could a medical office feel more like a coffee shop? We had to experience this for ourselves to understand. So we hung out at PHP for a few hours at a time and observed. We showed up at different times of the day, on different days of the week looking for patterns or anomalies. We didn’t just sit there and act as a fly on the wall. We participated and blended in with the group. Again, this might right a bell to those familiar with ethnographic research. Within a few hours, we could see what they meant about the office being more like a coffee shop. We learned that these patients are more like family. We learned their jargon, got insight into military life, struggles of life with half a limb, and made friends with them. We can’t ethically stand behind a story we share without experiencing it for ourselves. Bilateral, A.K. What does this mean? We had no idea either before hanging out at the PHP office for a bit. Our prior research on prosthetists didn’t reveal what this mean, and the patients were tossing around terms like this constantly. A bilateral, A.K. is an double amputee above the knee, hence A.K. Once we figured this out we were able to grasp so much more on the conversation. We were no longer outsiders, we were another person to laugh with, and, sometimes, were made fun of. That’s what a family does, right? Although we didn’t experience getting a prosthetic fit, we experienced what life was like at their office, and these patients spend a great deal of time there and it’s a huge part of their life. This activity alone lead us to many important creative decisions in their final film- which was incredibly effective, landing them a huge contract with a foreign government. Evaluating the space and competition gives insight into how a company are uniquely positioned and what storytelling assets we can take advantage of. The key to identifying this is taking a holistic and unbiased view of everything. We often hear something along the lines of “our product is the best/highest quality/fastest/etc.” And while we have no reason to doubt this claim, we need to be able to explain this to the target customer with an engaging story. We need to know how we can back this up, or what makes this true, and our outside perspective allows us to do this in relation to our guiding principle and solving of our problem. Throughout the discovery process, we meet and talk to a lof of different people. Our intuition and guiding principle leads us on deciding who would make a good character on camera and who plays an important role in our storytelling. But we have to step back and ask how all this fits into the bigger picture. Does our view of the problem and solution differ than our clients? What are the customers saying about the product or service and how does that change things (if any)? By looking at the big picture, we’re constantly asking ourselves who would be a good fit on camera and in interviews. We don’t buy into the stereotypical notion that the CEO has to be on camera because she is the CEO. Sometimes CEOs aren’t charismatic on the camera, sometimes the target audience doesn’t care who the CEO is or feel it’s important she is shown. There are situation where this does make sense, but the point is we follow the story and come to these conclusions based on our research. Going back to solving our problem, what needs to be included and what can be included. What limitations do we have in terms of locations, scheduling and budget? Our process allows us to consider the worldview or frame of mind for our targeted customers and how this fits into their lifestyle. The discovery process is done to yield insights allowing us to create something natural and appreciated by the target audience. Creating something that represents the target group and it’s culture that won’t be viewed as cliche or selling out can’t be overstated. Knowing who our intended audience is helps us define what’s appropriate for a final film. This step is usually one of the first talking points we have with stakeholders. It’s an important discussion that leads us to talking to the right users and space. We find that most brands or organizations don’t know their customers as well as they think they do. This is challenging as many companies don’t want to leave anyone out, but this actually creates an adverse affect. In Part 1, we mentioned that stories are successful when we solve a problem. Being specific about the problem and the personas that represent the audience create success. “College educated, 24-39 years old, male and female, middle class” is not knowing your customer. It’s semi descriptive but it doesn’t help us identify or solve the problem. Why are they motivated to support environmentally friendly goods? Who do they look up to? Athletes? Activists? Groups? People who are just like them, i.e. Average Joe? What objections do they have about your brand? What are your competitors doing that your customer like? Why would a customer continue to buy from you? If a scandal were to happen, how would your customers react? Answering these questions provides insight needed to move in the right direction and conduct appropriate research. Understanding who the audience is, what they believe and how they see the world is the first step in creating empathy and influence. This is also referred to as personas. Finally, we have to consider how the audience is watching this. Viewing something on a 40’ screen at a movie theater is different than a mobile phone with a screen measured in inches. The former suggests mixing in 5.1 surround sound where the latter could mean small earbud headphones at best, or possibly with the sound off altogether. This leads to many story-driven critical decisions. Some say sound is 50% of a film, other suggest it is more important. These are just a sample of the considerations we make during the initial discovery phase and how we develop our story. There isn’t a set formula that works for every situation other than allowing your creativity to further your discovery process. It might sounds obvious or cliche, but it’s the truth, and easier said than done. When we feel we’ve done an extensive amount of research and good enough to move to the building phase of our story, it’s important to remember that we don’t expect to be domain experts at this point. What’s important is that we have more insight than when we did when we started and documented the process in a manner that shows this growth and understanding. Our initial ideas and perspective are still valid. 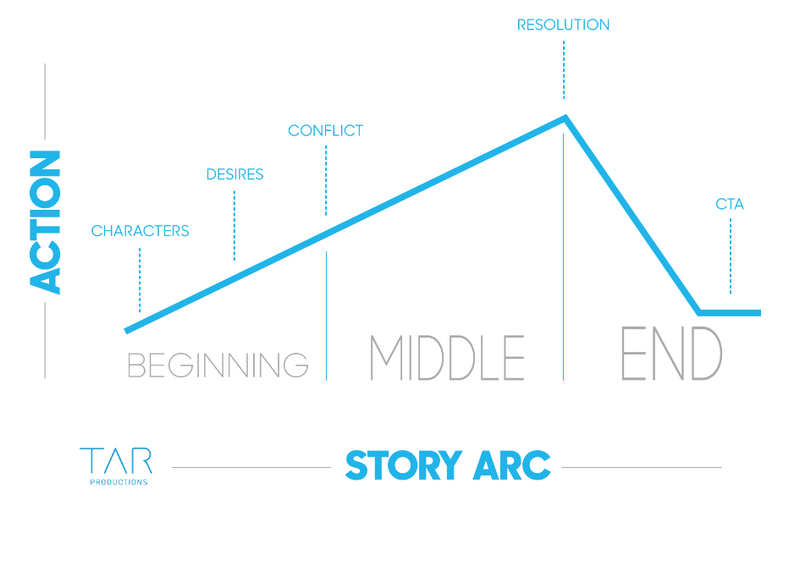 The arc we arrived at can be similar to the final story arc in the film. Knowing the space and audience provide us the qualitative and quantitative data we need in order to creating a story that supports empathy and influence. In part three we’ll review how we build a story and what we do with all this data we’ve collected. This is Part 1 of a 4-part series on Authentic Story Discovery from the Emmy-Award nominated team at TAR Productions. You should read Part 2 once you’re done with this section. We know that story makes a difference in business. When we’re able to connect with customers we can create a bond that is nearly unbreakable, paying dividends for years. Story can bring more than a simple ROI, yielding a broad range of results from positive word of mouth to sharing and promoting of your brand to friends and social networks. Here at TAR Productions, we live to tell stories and work with brands that truly believe in their purpose. Often times, it seems some brands are made to tell a story (think Patagonia or Apple) whereas other companies don’t think they have a story to tell at all, or have one that is interesting, at least. For example, we recently talked to a company that makes rock… they thought “What kind of story does a rock company have to tell? !” It’s especially easy for small businesses to get caught in the trap of feeling or thinking like they don’t have a story to tell. In working with hundreds of companies throughout my career, I can tell you that is simply not true. We all have a story to tell- the engaging part comes in how we tell it. Patagonia has no better a story to tell than a rock company, but it’s in how we unearth the story, no pun intended. The process of discovery can make or break a story. This is the first step in telling a story and it’s often times overlooked or worse, bypassed altogether. If you want your story to engage and resonate with your audience, then you need to understand them, their problem and the possible solution, and this happens in the discovery phase. For us it’s not just work, it’s a labor of passion and purpose. 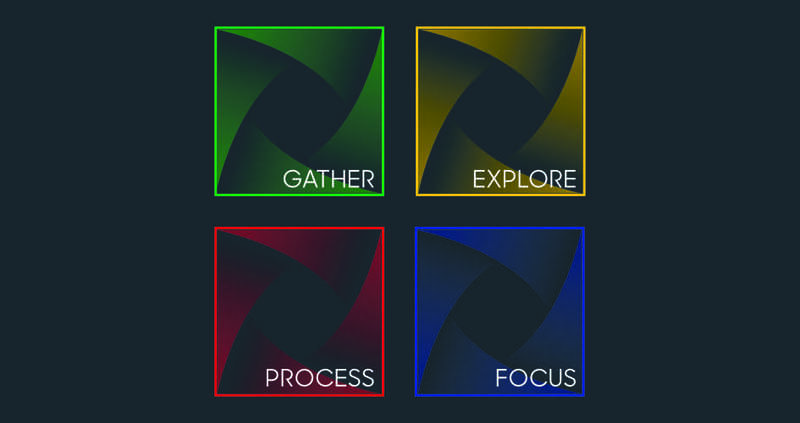 At TAR Productions, we distinguish ourselves from the rest of the industry by following our uniquely developed discovery process. Pretty images and trends are great, but they’ll only get you so far. Storytelling in a problem-solving environment is what creates results. This is why our work lasts for months and years, not weeks or days. Our process of discovery is specifically designed with purpose, meaning all creative decisions are supported by said purpose. For us it’s not just work, it’s a labor of passion and purpose. This is part one in a series of posts where we go into detail about our distinctive process and why the stories we tell are successful. Stories don’t appear out of nowhere, they’re found, or discovered. We’re here to unearth them with you. The best stories solve a business problem, and the following process is how we do just that. Stories fail when stakeholders (anyone who cares about the outcome of the project) and filmmakers are not aligned on the understanding of the problem. If you’ve been a part of a story that didn’t live up to it’s potential then this part is for you. Stories are successful when we connect with an audience and solve a problem. But before any project begins we have to understand the problem first. How does story solve a problem? Let’s first define what a problem is. A company’s problem is not merely to “sell more pants” or, maybe something more in-depth yet ambiguous, “to launch a new product line.” ” These are goals or challenges. Biology tells us that story connects us- a brand to a consumer, a human to another human, or feelings to a cause. Without knowing it, many companies are constantly seeking to build a stronger connection to customers. Some call this brand growth/awareness, some see this as simply as increasing sales. What is going to be the hardest part of this project? What is being measured in the success of this project? We don’t necessarily enter the discovery phase knowing what our client’s problem is either. We usually have goals in mind, for example, to sell more pants, but that doesn’t necessarily define our problem, but rather our challenge. So, we have to ask ourselves, how do we sell more pants? 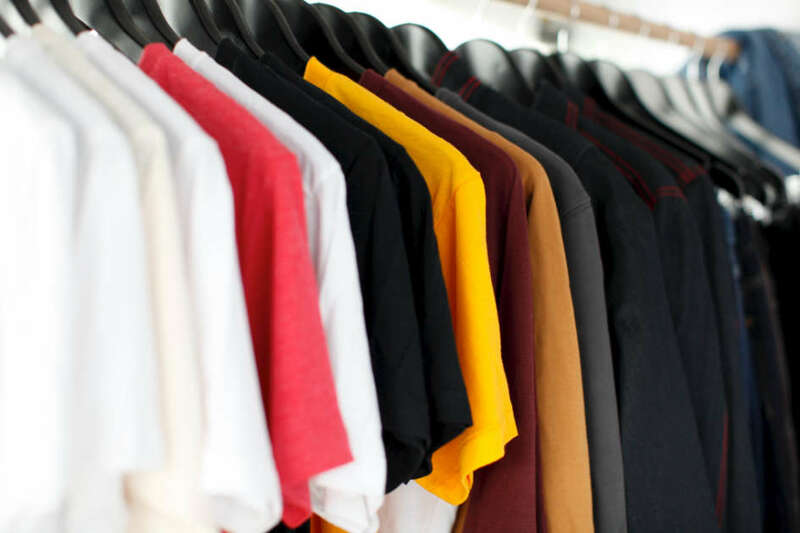 What’s preventing us from making a connection so strong with our targeted audience and what will make us top of mind when they’re looking for pants? How do we get our customer to think of us when they realize the need to buy pants. Or, going one step further, how do we create lust for pants? Science tells us that when we trust someone (or a company) we make purchasing decisions. Once this trust has been established, we remember facts and figures so much more, and then make rational decisions; i.e. which pants do I purchase? We, the stakeholders, understand a problem and decide on an appropriate decision through a process called discovery. When we take a problem-solving approach, we’re mindful of so much more than just a story. We’re considering the outcome that we want our audience to experience- after we’ve established trust, of course. Tools are tactics, stories are strategic. Discovery leads us to creative decisions too, such as the look/feel/mood of our final product (more on this in part 4). These findings dictate which tools we use (such as camera and lenses), how we use them and also the pacing of the edit, the tone of the music and even the final length of the film. Tools are tactics, stories are strategic. Ultimately, it doesn’t matter which camera you use to tell your story. What matters is how you use your tools and what they allow you to do creatively. This is what we want our audience to feel when watching our films- do we want to motivate them? Inspire them? Educate them? Make them happy or empower them? You don’t have to know the answer before a project begins- that’s the beauty of our discovery process. This is what makes discovery interesting, it’s being aware there’s a problem and conquering to find the best manner to solve it. Testing potential solutions before production is part of discovery, and we do that by framing the problem and solution. Hence, the problem-solving. This is extremely useful when the storyline is complex, ill-defined or unknown. Framing allows us to understand the problem and solution in human-centric ways. One of the best ways to do this is through storyboarding (more on that later in this series) and brainstorming. Storyboarding provides insight into our story and audience, allowing us to make sure our film flows and reaches our goals. Often times, during production we have a lot of resources and tools on hand with limited time (usually just a few days) and we need to create all the assets needed for our solution. Because the stakes are high, we must be prepared and aware at all times during this step. Discovery is a process that allows the filmmaking team and the stakeholders to get on the same page. Discovery builds the foundation for understanding the problem, creates clarity around the objectives and considers the constraints involved. Yes, it’s intangible but also an incredibly valuable benefit for any relationship or project, which inherently makes this process rather rigorous. When beginning a new project with a client, we must sometimes admit that we aren’t experts in their field while still acting like a sponge and soaking up as much knowledge as we possibly can. For us, it’s okay if we’re initially wrong during the discovery process because learning is part of the exploration process. Being wrong during discovery is ultimately better than going through the effort, time, and expense of making a film only to find out you were wrong from the beginning or got started on the wrong foot during production, which in return affects the entire project. Similar to doctors and lawyers who are continuous learners, the discovery phase is also an ongoing process in that we’re often learning throughout the course of a project. We all want to be continuous learners; ask yourself, do you ever stop learning about your industry? For filmmakers, continuous learning is part of our job descriptions. In filmmaking, you have to be prepared for anything. Having a solid foundation makes us proactive instead of reactive when it matters most, out on location or on set. So yes, discovery is constant and continual, just like medicine and law is filled with continuous learning and is constantly practiced. Discovery also helps prioritize. On any given project there are a number of things we can do, and on the other hand, several things we can’t do. The process of discovery let’s us plan goals efficiently, helps us see what’s possible considering restraints (available locations, characters, number shoot days) and allows us to budget accordingly. Knowing what’s available and what’s already been done is helpful too. Analyzing past efforts can reveal findings that make us more efficient during our research phase. Truth be told, discovery is more of a mindset rather than a phase. By nature, curious people and never truly stop discovering. Throughout any project, we’re constantly peeling back the layers and seeing where our story takes us. We want to know seemingly simple things, such as why something has “always been done this way.” It’s our job to challenge assumptions and remove predispositions. Being curious and asking simple questions can lead us to discover new elements and characters that change the course of our story altogether. This is what we call problem-solving. Projects can be in the works for several months and knowing how to lead and inspire the team all comes back to wondering why we are doing this to begin with. Discovery let’s us do just that and the impact this can have on how a production goes is significant. What kind of impact will it have on the audience/community/company? How is this company changing the landscape? While these all seem generic and overarching, the hidden gems lie in the answers we receive. We’re looking for how someone responds and we uncover unique details or attributes from there. This is what I meant earlier when I mentioned peeling back the layers and being curious. In everything we do, we follow the story, wherever it takes us. We know the impact a project can create will be better off when we give it our best effort. And sometimes that’s all we need to remind ourselves to keep going, and pushing further. In order to understand the problem we have to learn about the space: the audience, customers, or users. 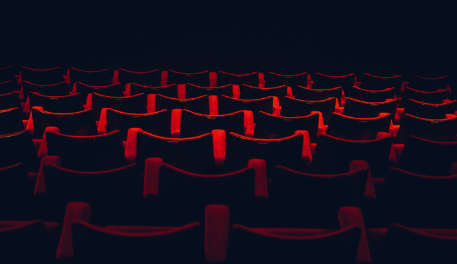 We can’t connect with the intended audience if we feel and act like outsiders, so immersing ourselves is par for the course. How can we fully understand the problem without putting ourselves in the targeted audience’s shoes? Learning how something feels and experiencing the problem / product gives us unique insight and perspective. Letting go of predispositions of what a solution could or should look like is an early prerequisite we must always be mindful of. It’s easy to assume what the “right” solution is based on trends and jumping to conclusions, but this can limit creativity and opportunities. We don’t yet know what characters or locations are available to us or where our story can take us. Letting our process guide us is the best way to a natural and authentic solution. This is how we are guided to a unified solution. We take into account our unique, albeit outsider, perspective, our experience and findings from customers and stakeholders alike. Even if we end up with a story that is conventional, we take with us the confidence that our discovery process was useful and that we didn’t have a lack of imagination. Although discovery is an intangible benefit, it’s an asset that doesn’t extinguish or become invalid at the end of a project or short film. Discovery yields another benefit; the ability to quickly execute and refine the content we create together. This is especially beneficial on projects that are long term with multiple or undefined deliverables, for example, if we partner with a company on a retainer basis. We can let content percolate and build upon initial success allowing us, and our client, to create additional leverage in a flexible and fluid manner. This constant flow of learning increases our team’s understanding of the product and how it fits into the world and the speed in which we’re able to do this in. We can continuously improve our films while growing a library of content. We can act quickly and create more profitable solutions without much lead time while increasing the quantity of content. If our problem is to increase brand awareness, this is a great solution. It’s easy to see why and how this approach is valuable for the long term and better than hiring a new team or an inexpensive one that doesn’t have the same understanding. We may not be making world changing films but they do matter to someone, and that’s who we make films for, someONE, not everyone or anyone. Whoever our targeted audience is deserves our best effort and following this process is how we arrive at that solution. In Part two, we’ll go in depth in our pre production research reviewing the different options before coming up with creative and how we define our audience. With technology exploding every single day, it’s hard to keep up with the latest apps and tools available at our fingertips. Even if we are keeping up, it’s hard to completely understand the full breadth of capabilities those tools have and how they can be specifically applied to our lives and businesses. We’ve seen written, long, and boring case studies for years – displayed on websites, buried in a client list/customer section, accompanied by pretty photos and a few quotes splashed in about how great the product or service is. Sound familiar? Although it’s always comforting to see that lengthy list of recognizable companies/brands who use the technology, it’s not always super clear how that technology is working for them and in what capacity. Sure they can write a lengthy blog post on it (guilty!) but who has time to read and fully digest all that? Multi-faceted, highly complex and super customizable tools and applications are breaking huge barriers and allowing for more companies and brands to run leaner, more efficiently and truly thrive within their space. It’s great – but with that comes a website full of developer jargon that the average Joe (for lack of a better way to say it) has trouble dissecting and making sense of how they could use it themselves. Enter video. Ta-da! Video as we all know is a great way to communicate quickly, clearly and in an engaging way. So long boring, essay style case studies! See ya never. I’ve pulled 5 video testimonials/case studies that I feel truly capture the problem the customer was experiencing and how the technology came in and solved it. Sounds boring, but just watch. These videos make the technology/application easy to digest and understand how it can be applied to the viewer/customer. They’re all engaging. These are stories that move – move the needle, move the potential customer, move the brand and ultimately create real results. Let’s talk about the word “testimonial” for a minute. It kind of makes you cringe on the inside because it sounds boring/dry/unimaginative. It used to have a negative connotation for me personally until I shifted my perspective. When story is involved (in any type of video really) and brought into the spotlight, we can connect to it on a deeper level. Story pulls us in and allows us to easily relate to the most un-relatable topics if done right. In this case, story is used to show us how we can incorporate these different technologies into our lives and lifestyle. Salesforce put together a short story profiling their customer’s success and growth. Great choice in picking an incredible brand that’s cool and recognizable to showcase how their product directly supports Yeti’s business goals and core values. Right off the bat you’re brought into the story and feel a personal connection with someone else’s business. A bit long for my liking but absolutely love the intimate feel and approach that Xero took with this video. Quick and to the point. I enjoyed the energy that the video brought with it of the city life. However, I do think it could’ve touched a bit more on 99designs and what that entire experience entails from start to finish. Interesting how all of the visuals are of the food truck and city of Minneapolis, rather than the technology of Square. 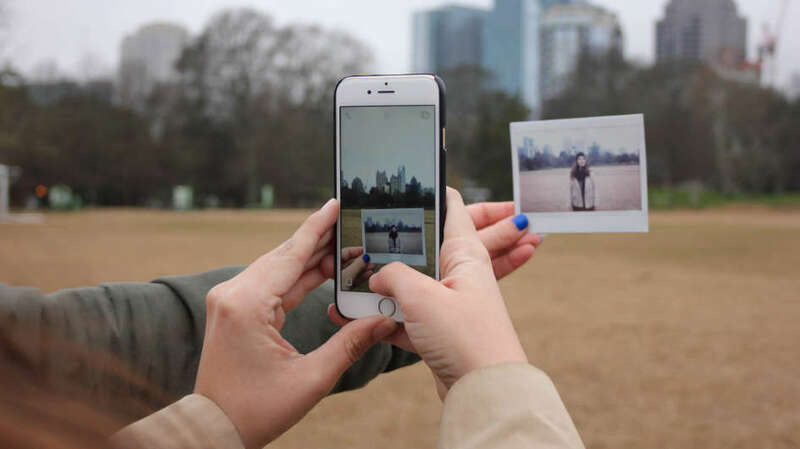 With less focus on the interface and technical aspects, the audience and potential customer can connect more with the story, allowing that to being the selling point over key features. Love the clean look and feel of this story. A short video but still managed to engage, pull me in and explain well enough what Codecademy can do for me. What are some of your favorite testimonial videos? Let us know in the comments below. Or, like what you see for your company? Get a project going with us now. We spend nearly all of our time telling stories for incredible brands and nonprofits. We meet people doing amazing things that are changing the world for the better. The research we do teaches us so many profound aspects of life, humanity, and topics we never knew about beforehand. This work has taken us to every corner of the globe and into places in our hometown we never knew about. When we recently sat down to recap everything and share it with the world, as remarkable as a journey it’s been, it almost felt incomplete. We can’t share our work without sharing our story- who are we? How has this journey shaped us? We asked ourselves, why are we on an endless search to improve the lives of people we’ve never met. We define ourselves by the beauty, novelty, and success of the stories we tell. Upon reflection, we realized the impact we can have is the reason we keep going, and want more. Enjoy our reel and getting to know us in just 88 seconds. We define ourselves by the beauty, novelty, and success of the stories we tell. The results speak for themselves. What is a story? What is a connection? And what does it mean to move hearts and minds? How do we go about distilling this message to everyone? How do we get everyone share our content? We don’t speak to anyone or everyone, but someone. Someone who cares, who agrees and then tells a friend. We move one, then two, four, eight and sixteen. We’re storytellers crafting the intangible, creating incredible connections and expressing purpose. We inspire action and build trust. We’re committed, and we’re adventurers. We’re psychologists and tech geeks. We’re globetrotters who never stop wondering nor wandering. We tell a story, not every story. Stories that move us. Inspire us, and connect us. We do this by listening, learning, challenging and pushing further. We make bold moves, innovate and collaborate. We care, trust our gut, and remember facts and figures because of story. In the end, we make our audience feel like they belong and are a part of something that represents them. Together, we are one. We are story. We are TAR Productions. Want to talk about a project or keep in touch? You’ve got the numbers. You know how many views your latest video racked up, and how many times it was shared across your social media channels. Maybe you’ve seen an uptick in sales, or your email click-through rates doubled once you embedded a video in your message. Maybe your share rates on social media shot through the roof. If you’re on top of your marketing data, you know to expect these kinds of results, too. According to HubSpot, including a video in your marketing emails can increase click-through rates by up to 300%. Facebook’s Newsfeed loves video, and that’s not going to change anytime soon. In fact, it’s going to increase. Facebook knows engagement on video is huge, especially in the mobile arena, and the more video it can show you, the more you’ll use it. A bigger question to ponder, as marketers, is why would not you post videos to Facebook? Since videos have higher engagement than any other medium, and you’re producing them anyways, it isn’t any more effort than posting to YouTube. This begs the questions, what’s to lose? And if you’re audience is on Facebook, you should be posting and having them share your content for you. 70% of marketers fail to track ROI. And since 92% of all mobile video consumers will share that video with a friend, developing a video with compelling, shareable story isn’t exactly a hard sell for your brand. But if you want an accurate picture of your video marketing ROI (return on investment) that looks beyond views and shares, you’ll need to widen your net. After all, this information alone won’t justify your budget with higher-ups in the C-Suite. You need a detailed picture of how dollars spent on a video asset correspond with the number of new leads generated by your marketing team, or how many sales they closed by the end of the quarter. And aligning that picture with the data you have on your video is complicated. It might make you feel better to know that calculating ROI can be so complicated that many marketers just, well, don’t. In 2013, more than 70% of marketers failed to track meaningful ROI for their spending across the board. Crazy, right? 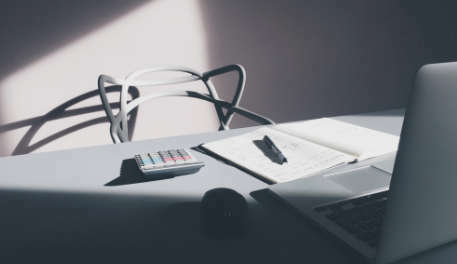 We know that marketers who shy away from ROI calculations miss out on crucial data – but we still don’t make the time to set and track financial goals against our media buys the way we should. Even more telling? 45% of small businesses indicate that ROI for video marketing is an obstacle to increased spending. I have a hunch that this obstacle is closely related to the need for marketers to track video marketing metrics more rigorously – which is why I’m going to help you peer behind the curtain. Download our Video ROI worksheet and keep track of all your video’s success. With so much data vying for your attention, how do you accurately measure the success of your new video? 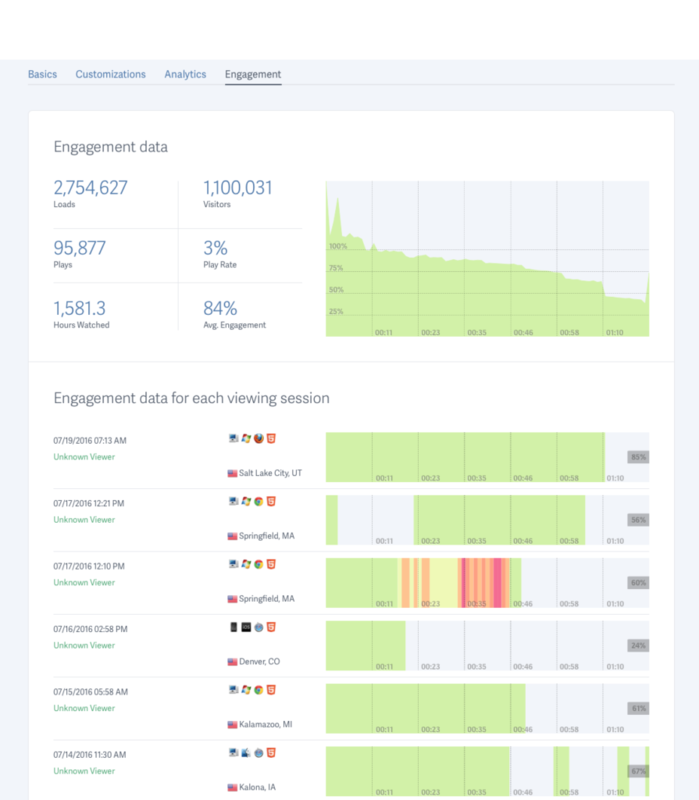 What kinds of metrics do you set in place, and how do you track them? TAR works with clients who integrate our videos into every facet of their marketing campaigns, so we have unique insight into which strategies leverage real dollars and which might send you back to the drawing board. Somebody’s gotta run those numbers upstairs to impress the boss – it might as well be you. Assessing your investment in video can help you defend your video budget, direct the output of your creatives, and inform future purchasing decisions. Before you start crunching numbers, though, you need to know which numbers to crunch. Sometimes that’s easier said than done. Unless you want to measure the effectiveness of an explainer video in your sales funnel or whether a product video boosts your online revenue, following the trail of views to clicks to sales can feel like trying to untangle a stubborn knot. My suggestion? Use the planning process to identify marketing goals you can tie to specific outcomes. 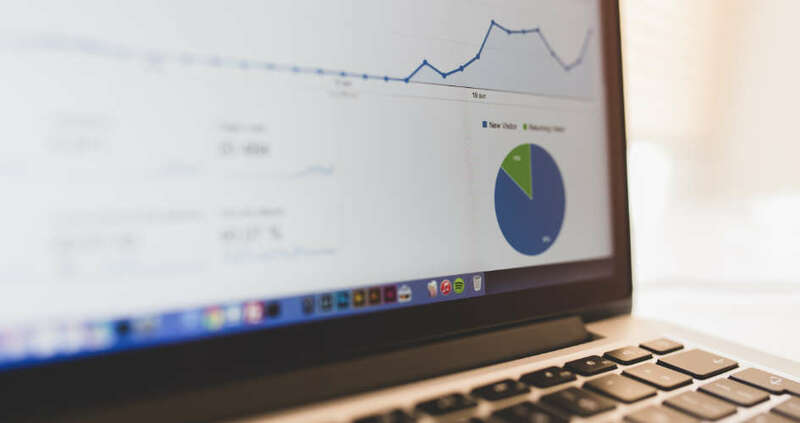 Once you identify goals and associated metrics, it’s much easier to set tracking methods in place and analyze how successful your campaign actually is. Our clients integrated video into their existing fundraising drives or in-person meetings to help explain how they made an impact on their communities. For Peter Harsch Prosthetics, this resulted in winning an incredible new contract with a foreign government and millions of dollars in revenue. 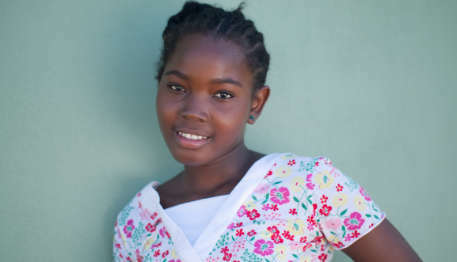 Helping Haitian Angels saw an amazing increase in donations over a 4 year period, including multiple six-figure donations after prospects watched our video. Of course, measuring your video ROI isn’t always this straight-forward. That’s where setting additional metrics around engagement comes in handy – especially when it comes to painting a compelling picture for your boss. In video marketing, the term “engagement” is closely linked to the world of social media. Marketers trot out the term to talk about views, social media sharing, and click-through rates. Customer engagement with video can also lead to more substantial actions, like subscribing to a newsletter, purchasing a product or service, or spending more time on a brand’s site consuming content. High-performance engagement means your video is pulling its weight: your audience is growing and your sales are up. Audience growth: Are you gaining a steady number of followers on your YouTube or Vimeo channels? This is an indication that your audience finds your content valuable. Look for similar growth in your newsletter or marketing emails when you use video content; A/B testing should give you a good indication of what’s working and why. Demographics and behavioral insights: Generally brands have sophisticated insights into their audience demographics and behavior before they purchase targeted ad buys. Tracking audience demographics with other insights – like video drop-off or sales – can let you know how well your video stacks up for a particular demo. But I think using professionally produced video totally changes the game. If your new video showcases your company’s larger mission or purpose, it energizes your audience and can impact data points beyond leads and sales. Better SEO: If you’re using video marketing effectively, you should see a real bump in SEO. Want to nab a front page Google result? Using a video will make that 53 times more likely. Decrease in bounce rate: If a customer lands on your site, it’s in your best interest for them to stick around so you can close the sale or nab their email address. According to client surveys from Brafton, videos help convince customers to stay on a brand’s website and engage with other content. Increase in job applications or volunteer interest: When you use story-driven video to connect with your audience, volunteers and potential employees feel good about sending in their application. Online recruitment firm Jobcast found that a brand bolstered by video brings in 2.5 times more applications per job post. As markets become ever-more competitive, recruiting and retaining top-notch talent at your company can be your best asset. 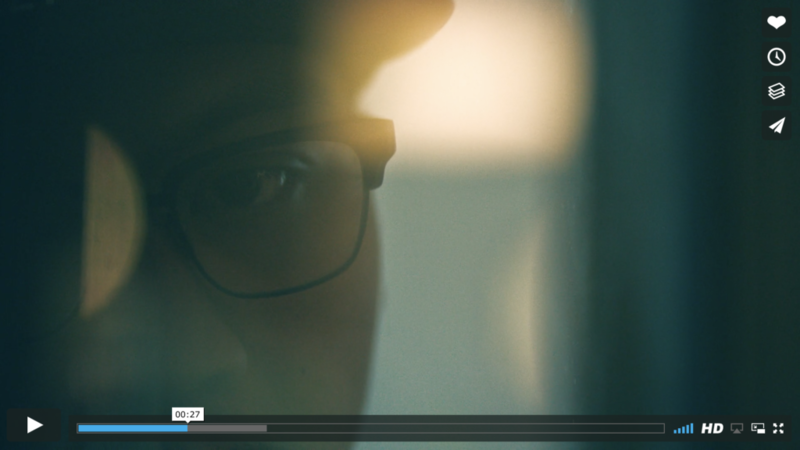 Check out this awesome recruiting video by VSCO to see how video can help you reach the best talent in your industry. Decrease in cold pitches: Because video helps establish trust in your brand, more customers, volunteers, and potential job applicants will seek you out. This isn’t to say you should throw your marketing funnel out the window – just that the right video content should make jobs in sales and recruitment easier. With the rise of social media and email marketing, most companies have renewed their focus on digital – and it’s no wonder. It’s notoriously difficult to track the impact of your investment in print. You might know how many subscribers receive a magazine like Fast Company, but without the metrics available to you in the digital sphere, you’ll never calculate accurate ROI for placing a print ad. This perception also extended to VPs, directors, and managers. In fact, across all decision-maker categories, print was the least favorable marketing medium. The same decision-makers pinpointed video and social media marketing as top areas for growth and investment. They cited interest in increasing their presence across YouTube, Facebook Video, and Instagram – despite lingering worries about how to accurately calculate ROI. Two things jump out at me about this study: On one hand, execs understand the power of video assets and think video makes a bigger impact on the bottom line than print ad buys. On the other, marketing directors and their video production teams can do a better job making the case for video by setting intentional, measurable goals that help assess ROI and demonstrate the real value of video for their company. Overcome the doubts of your higher-ups by putting a plan in place to measure ROI – and leverage the impact of ad buys you do make by using your video assets to your best advantage. If you’re not telling compelling stories, your content marketing efforts won’t help you close sales – no matter how many ads you buy on- or offline. Integrating offline and online marketing channels more effectively can make a big impact on your marketing ROI – and I can show you exactly how to do this with your video assets. Unlike print ads or TV spots, which have defined run dates based on your purchasing power, video is the asset that keeps on giving. All you need is hosting on a platform like Vimeo or SproutVideo – and a killer marketing plan. We’ve seen clients use our videos to launch new products and elevate the presence of their company online, in addition to making the piece the center of its own campaign. If you’re rolling out a new marketing campaign, nothing will help you capture more leads – and close more sales – than video. It’s no wonder that 84 Lumber, one of the brands that received the most attention at Super Bowl LI, used their provocative ad to send customers directly to a landing page on their revamped site. But what drove viewers to the website – eventually crashing the page! – wasn’t just any old ad. Without delving too deeply into politics, the ad told a compelling story: a mother and her daughter making the long trek over land between Mexico and the United States. As a viewer, you wanted to know what would happen to this pair. 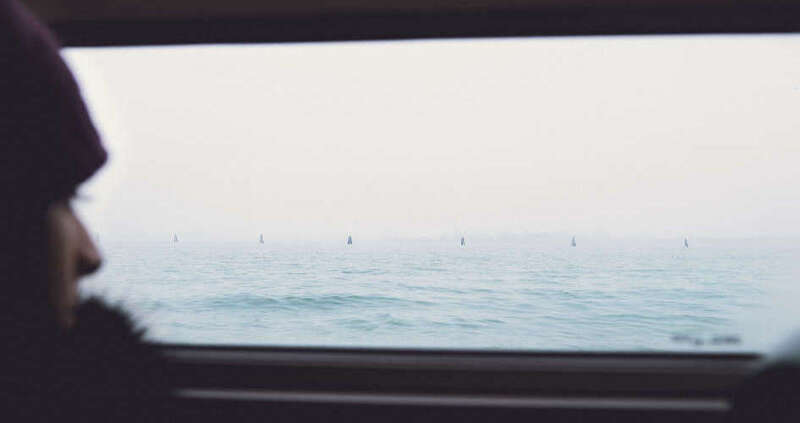 Would they reach their destination? Why was the little girl picking up scraps of plastic along the route? 84 Lumber used classic storytelling elements to capture the attention – and imagination – of Super Bowl viewers. And because they’re great marketers, the brand was totally ready for what happened next. 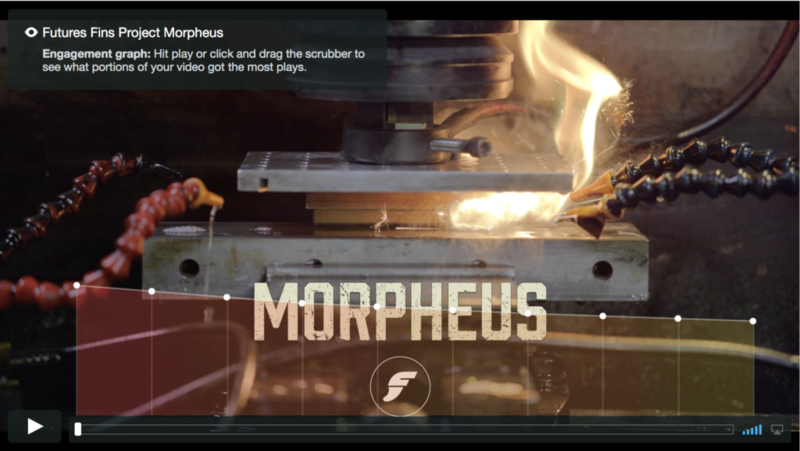 At the end of their video, the brand encouraged viewers to watch the rest of the journey on their website. Online, curious audience members could finish the story, learn more about the company, search for open jobs, and shop. But it wasn’t the thought of shopping that propelled viewers to 84 Lumber’s website. It was a compelling story about a mother and daughter that excited people to step away from their TVs and open their browsers. Remember: this audience was already watching one of the biggest sporting events of the year! That’s the power of story – and it’s about more than numbers or ROI. It’s about getting your audience excited to engage with you and your company and create a lasting impression. 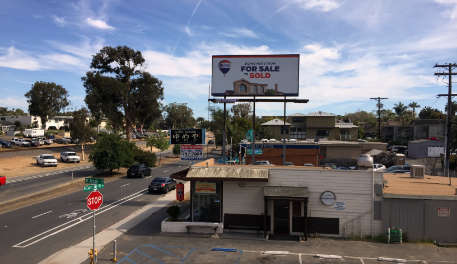 When you break down their strategy, 84 Lumber’s ad spot is a sophisticated way to integrate TV advertising with a video campaign launch. By using a landing page to track a spike in web traffic, sales, and even career interest, 84 Lumber’s digital campaign most likely helped the company track more specific metrics about the success of their video. Key insights from these metrics can make or break your next campaign. But you only acquire the data if you give your audience a reason – like story – to explore and engage online. Generate excitement around an event, spark interest in a sale, or build an audience for a keynote speaker with a video that uses story. Take this 2013 short from Apple, which combines sophisticated animation and storytelling to promote the company’s purpose. This video opened Apple’s annual event for developers, WWDC, where they release innovative new products. Everyone attending is already sold on Apple – but that doesn’t mean the video is any less effective. Apple’s video strategy re-engaged consumers with their brand, helping them remember why they purchase Apple products – and not a competitor’s – in the first place. Of course, most content creators get stuck worrying about a different kind of “pre-roll” – the five-seconds of ad time marketers have to convince YouTube viewers to keep watching. Since 94% of viewers will choose to skip the ad altogether, marketing directors need to find stronger, more compelling content – something that’s actually worth it for audiences to watch. Hint: The answer’s in storytelling! 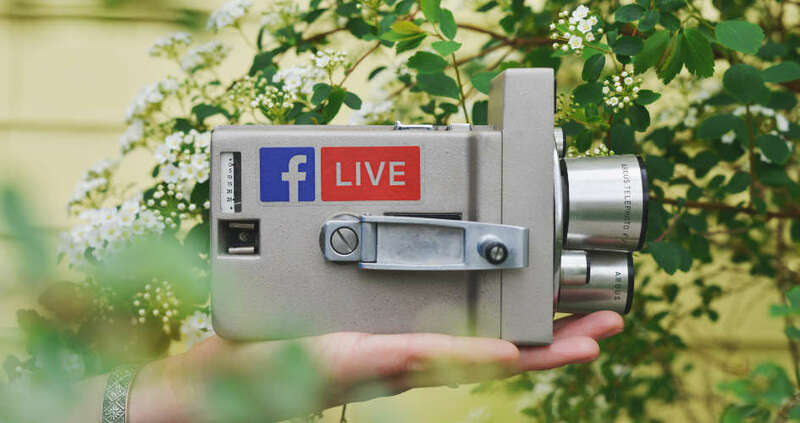 Whether you’re pairing your video with a product launch or an event keynote, this strategy is an incredibly effective way to grab your audience’s attention – and keep it. 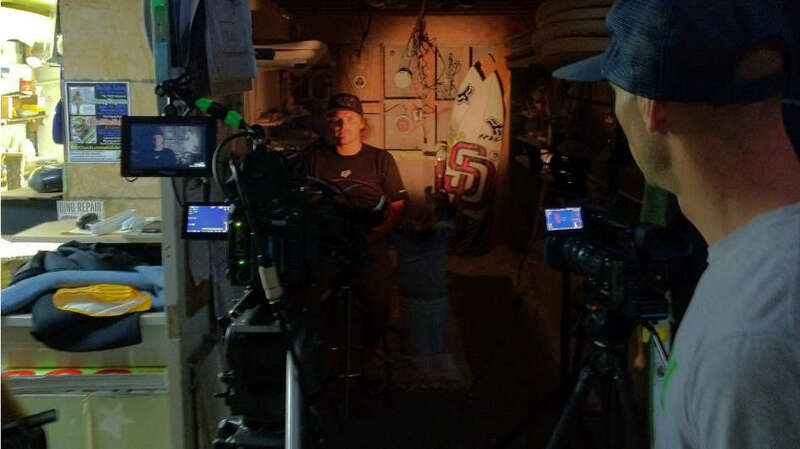 When our client Futures Fins developed an entirely new manufacturing process for their surfboard fins, they used video storytelling to bring their customers along for the ride. 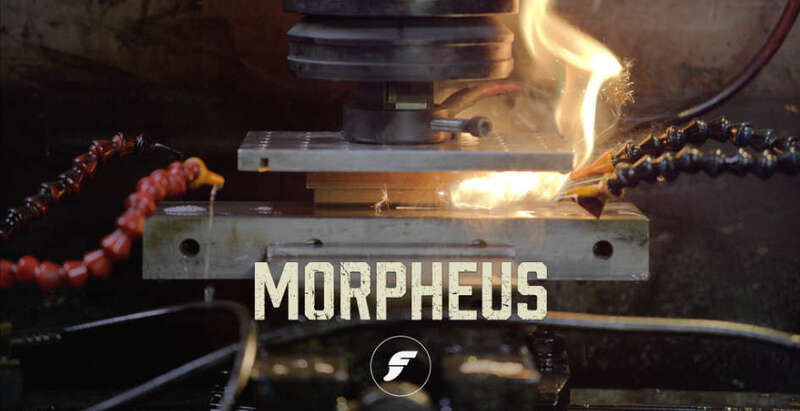 Futures Fins wanted customers to understand that this new manufacturing process was not only innovative, it was a way for the company to keep jobs in the United States. In addition to using new materials and new technology, Futures Fins produced their brand new product at a lower price point by keeping production in the U.S. 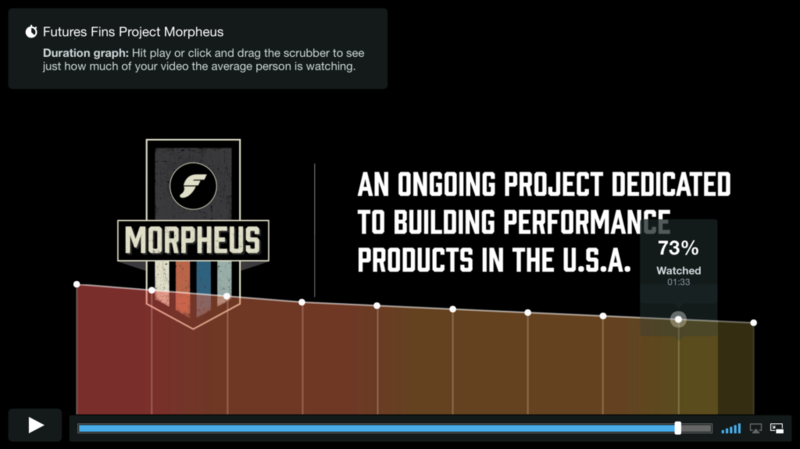 The new fins – branded Project Morpheus – quickly became their best-selling product line adding millions of dollars to their bottom line. Because visual storytelling is one of the best ways to communicate complicated information, Futures Fins could educate their customers about multiple, complex changes in their company all at once. The video gives audiences a sense of the company’s commitment to innovation and product design, while also giving them a peek into their job creation ethos. In the crowded noise of social media, video helps your brand stand out. As YouTube audiences grow by about 100% year over year, so do your opportunities for engagement. In fact, according to HubSpot, audiences are 10 times more likely to engage with video on a social media network, increasing your chance of getting more shares, likes, and comments than any other kind of content. This kind of engagement can lead directly to sales. One of my favorite examples? 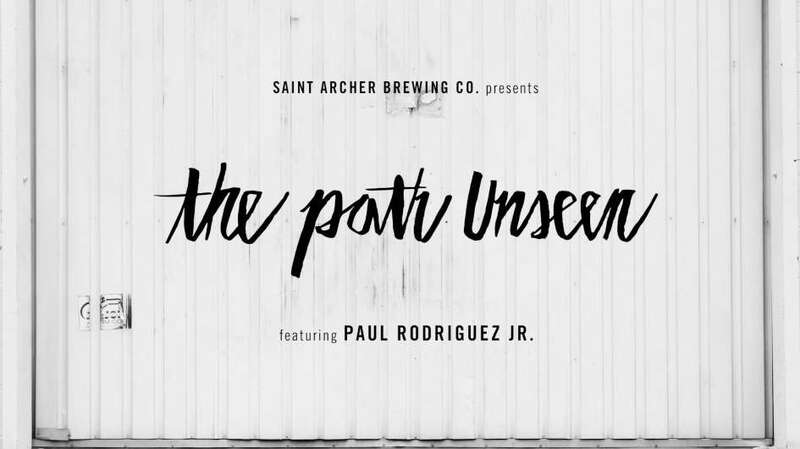 The craft brewer Saint Archer, based in San Diego, which used creative video content to drive interest in their brand. This strategy worked because the company’s owners include pro skaters, surfers, and filmmakers. These tastemakers already had huge social media followings they could leverage in favor of their business. By releasing video content on Instagram, the brand’s owners and ambassadors generated excitement around the Saint Archer lifestyle with their fanbase. They developed entire films showcasing daredevils like Paul Rodriguez, Jr., a pro skater, and Taylor Knox, a surfer. Given Saint Archer’s incredible social media strategy, it should come as little surprise that the company wound up selling to MillerCoors for tens of millions. No small part of that is due to the way Saint Archer transformed their social media audience into a consistent, engaged, and vocal consumer base. If your social and content team isn’t working closely with your current video production partner, it’s time to bridge the gap and start accumulating those clicks. If you have a video story on your hands, chances are it’s perfect for your HR and recruitment teams. 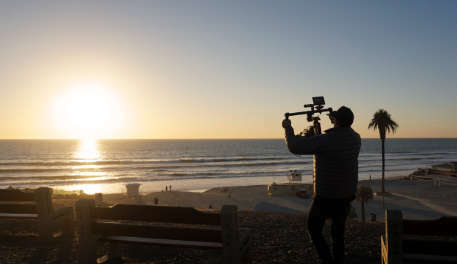 Unlike ad spots, video storytelling conveys the purpose of your company directly to your audience, appealing to their emotions and forming what can often be a lasting connection. This is exactly the kind of connection you want to make with future employees – and anyone who doesn’t identify? Well, they’ll self-select out of the hiring process, making your job that much easier. 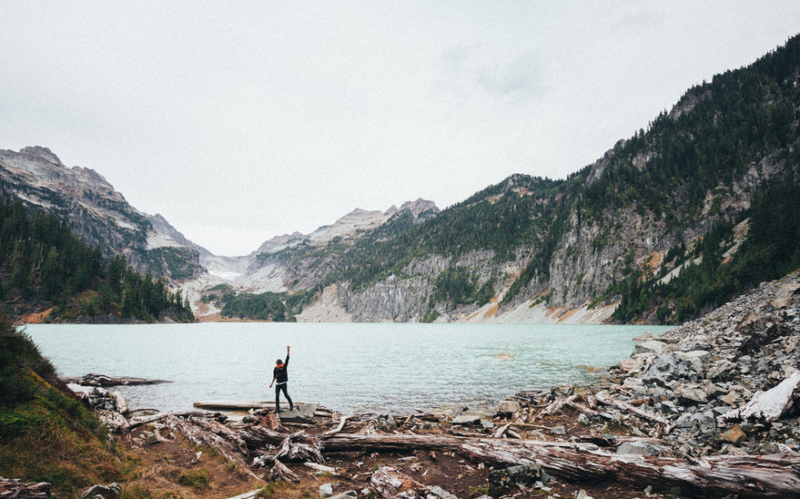 Take Oakland-based photo company VSCO. Their recruitment video elevates engineering to art, re-focusing the external pressure of deadlines into an internal drive to create something beautiful. That’s a totally different sell for most engineers – and will attract a very different kind of applicant: someone who’s not just solutions-oriented, but collaborative and creative. But pair your job description with a video that gets to the heart of your company’s ethos, and your future employees will know exactly what your culture’s like – and whether or not they’ll fit in. Ultimately, a strong story from HR about company ethos leads to better talent and a more focused work ethic. When you reach the right talent pool, you hire employees who do better work, reach their goals more quickly, and leave a lasting impact on their industry. That can translate into a rock-solid industry-wide reputation, higher stock prices, or even a better valuation. You just won’t get that kind of return from a plain, old job description. Like a recruitment video, a company profile video can tell your story and share with customers why you do what you do – and how you do it better than anyone else. Unsurprisingly, Apple are experts at this kind of storytelling. Their company progress report on green technology is an homage not just to Apple’s values of innovation and style, but to the way “going green” adds to these values and helps define their product design strategies. Since they already have killer brand recognition and customer loyalty, this video’s main purpose is to energize and inspire Apple’s base. Their customers feel an increased sense of trust and appreciation supporting a company that works in support of their shared values (environmental protection) – and feel even better buying Apple’s products. It’s easy to find examples of these introductory and explainer videos all over the web, especially at service-based organizations. 86% of colleges and universities use YouTube to communicate with prospective students and demonstrate what makes their campus stand out – a trend small businesses are just catching up with. As Apple and other tech companies continue to demonstrate, there’s plenty of room for major retailers to expand their use of video in this direction, too – and take advantage of all the insights video has to offer. If this is your first time looking beneath the hood of online video platforms, don’t worry. We’ve been down this road a time or two and can help you locate all the data you need to call your campaign a success. While there are plenty of online video platforms to choose from, including YouTube, Wistia, and Brightcove, my personal favorites are Vimeo and SproutVideo, which have robust, built-in analytics tools. Views and plays: Everyone likes to see a high view, or “load,” number. But while a big number in this column might make you feel good, it doesn’t necessarily tell the whole story. Most online platforms count a “view” as anytime the video loads across each of your channels. That’s right: you could be racking up a view anytime someone scrolls past your video on their Facebook feed – without clicking play. The number of plays your video has is much more important. This measurement tells you how many times your audience engaged with your video by clicking that play button. They may not have watched until the very end – but at least they clicked. Something about your video captured their attention, if only for that initial moment of engagement. Use this insight to determine which channels are giving you the most mileage. Does your video have a high number of plays on Twitter? How about Instagram? What about your campaign landing page or your email marketing sales funnel? Take note, so you can use this information to make the most of your next campaign. If you take a look at the example screenshot of a SproutVideo dashboard above, you’ll notice that the number of times the video loaded is high – more than 2 million! The number of plays, on the other hand, is much smaller – closer to 95,000, though that’s far from insignificant. Remember: the number of video loads will give you a good idea of your video’s reach – how often people come in contact with it – while the number of plays gives you a better sense of audience engagement. Play rate: Both Vimeo and SproutVideo will calculate your “play rate” by dividing the number of plays by the number of times your video loads. Have a less than desirable play rate? You may want to reconsider how and where you’re distributing your video, changing the video’s title, or trying out a new thumbnail. Maybe your audience watches more videos on Facebook than Twitter, or maybe your video thumbnail isn’t grabbing the attention of your audience as they’re scrolling through YouTube. Changes to any one of these elements can drastically impact your play rate. It’s worth experimenting with an A/B test, if you have that capability. In the example above, you can see that the play rate is only 3%. At first glance, this might seem like a small number. But consider the high engagement rate (84%) and the total number of hours the video played (more than 1,500). That’s a great return for a video that’s less than two minutes long! Engagement: When it comes to measuring ROI, clicks are your bread and butter. Tracking how many viewers click play or share the video with their network will give you a good idea of the value of your content. You should also keep tabs on engagement with your video CTA, as well as the performance of CTAs on the page where you host your video. This may require setting up extra steps, like a landing page hosted on your website, that will help you measure engagement more effectively. Both Sprout and Vimeo offer features that allow you to include text or a static image after the video finishes playing. Advertising an exclusive discount code here is a great – and easy – way for companies to track engagement. If you’re filming a product video, you may also want to track how many times the video is viewed on your product page and whether that increases sales or lead conversions. Most video dashboards will also allow you to see individual user engagement. Take a look at the user data In the screenshot above. The user with red and orange sections in their engagement bar watched the video several times, while the users coded in green only watched the video once. If you have several users who repeat a watching behavior – like re-watching a specific section of the video – it could suggest this part of the video is unclear. Maybe the script needs to be reworked, or you should check the audio for clarity. Drop-Off Rate: Last but not least, it’s crucial to measure your drop-off rate, or the point at which viewers stop watching your video. This number starts at 100% and can only go down. It’s very similar to engagement, but offers additional insight. Are too many viewers clicking away from your video less than half-way through? It could be a sign your video’s too long – or maybe a talking head just didn’t hold your audience’s attention. Whatever the reason, your drop-off rate is a great measurement for adjusting campaigns and content. Working with a video team over the long-term will also help resolve these issues as you plan for the future. Both Vimeo and SproutVideo present drop-off rate as a percentage measurement of the audience who watched the video all the way through. You’ll most likely have a high percentage rate for the first few seconds of your video. Remember: the majority of viewers will watch the opening of a video – after that, competition for their attention is steep. If you have the capability to track drop-off rate by customer, you’ll want to target the audience members who stick with you to the end of the video in your sales efforts. In particular, SproutVideo offers heat-mapping, a tool for tracking engagement at each point in your video. This means you can access data about when each of your customers watched, replayed, or clicked away from a video. With individualized data like this, you can optimize your sales funnel and strategy for each particular client – which makes closing the sale that much simpler. You can even combine heat-mapping insights with data collection using another Sprout feature: asking customers to enter their email in order to watch your video. Talk about upping those leads! In terms of strategy, videos that run longer than a minute – rather than 30-second quick hits – help improve your drop-off rate, especially on YouTube. As the second largest search engine, YouTube prefers users who, for example, watch 50% of a 7-minute video over users who watch 100% of a 0:23 second video. (Hey, if your profit model depended on users to consume more content, including ads, you would prefer that user, too!). Creating videos that run longer than one minute will not only increase your odds for success on a competitive video platform like YouTube, but it will also improve your relationship with your customers. If you’re not sure what we mean, just take a look at our last post on how video storytelling boosts sales and consumer confidence in your brand. Before you head off to crack open your video analytics dashboard, I wanted to bring an important marketing step to your attention. At TAR, we regularly run A/B tests of our videos, especially the video thumbnail and copy. Most marketing teams or video production companies will skip this crucial step once a video is out in the world, whether out of neglect or lack of understanding the value of this process. But I think you can’t afford to look past these insights. An appealing thumbnail image and intriguing headline copy will create a desire for the viewer to click play, increasing your play rate. And we all know how important a good play rate is for ROI! If you don’t test images and copy, you’ll never know if you’ve optimized your video content – and potentially left sales on the table. 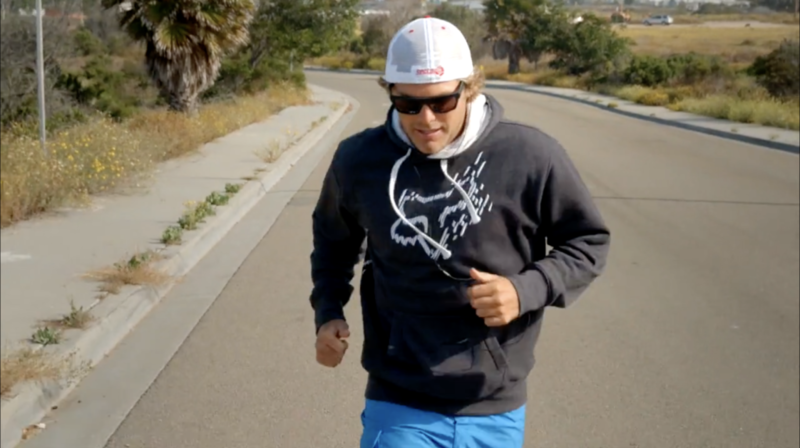 Take our original documentary of professional surfer Ricky Whitlock, for example. Ricky broke his back – twice! 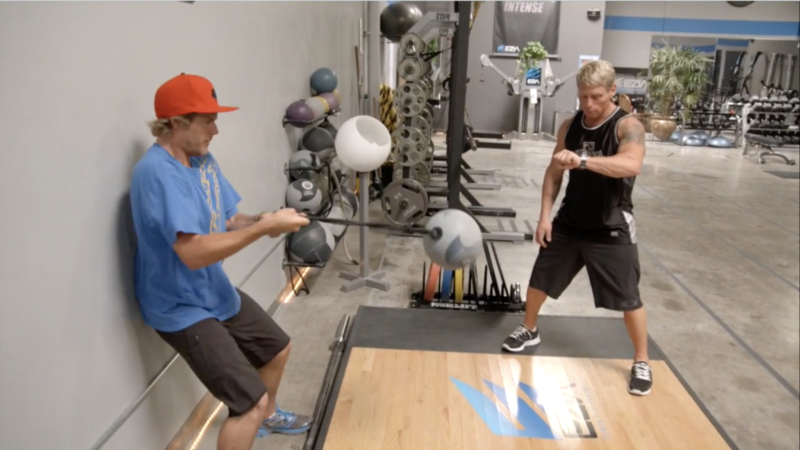 – while training for a surf contest in Hawaii, but that wasn’t our story. We wanted to document his excruciating road to recovery. Not knowing any more about our story, which video still would make you want to click play? Each of these examples are frame grabs from the same story. But the one we chose wasn’t random. By now you’ve guessed it’s the last still, right? Sure, we added basic design titles to give the thumbnail a more polished and professional look, but this still of Ricky helps you connect with the subject of the documentary before you even push play. The moody lighting from the interview also suggests the grit and drama of the story you’re about to watch. You can see his determination. These elements helped us get tens of thousands of views, and we were also showcased in major industry publications for our work. But without testing our thumbnails and copy, we would have never been able to achieve that incredible reach. All modern video players, YouTube included, have the option to upload custom thumbnails, yet brands still pick a randomly selected frame. Don’t waste this opportunity to test your audience! Part of telling an effective video story is convincing your audience to push play. More often than not, this decision comes down to a single, crucial shot. Make it count. At TAR, we understand that measuring the success of your video campaign can be technical. Sometimes it’s even downright complicated. But, if you’ve stuck with us through this guide to video marketing ROI, you now possess all the information you need to make the case for video storytelling in your budget. Not only is video one of the most flexible assets in your arsenal, you can easily integrate it into your existing marketing and social media campaigns. In fact, data shows your marketing campaigns will actually improve when you have valuable video content to share with your customers. So don’t forget to share the love with your social team or your events coordinators. Even HR and recruitment can benefit from video marketing dollars. Now that you’re convinced about the ROI of video download our powerful worksheetto track and A/B test your video. Of course, when it’s time to measure the success of your new video, look at the hard data provided by online video platforms like Vimeo and SproutVideo. Those conversion rates will give you a pretty clear idea of how well video is working for your brand – and help you calculate ROI to keep the boss upstairs happy, too. While tracking the success of your video can be a challenge for any marketing director, TAR is on your side. Let’s set up a time to chat about your next campaign and crunch those numbers together. What are your thoughts on this article? Let us know in the comments below! On their first trip to Haiti, Debbie and Bill Harvey’s life was forever changed. A Haitian friend insisted that the two take a look at an abandoned house, and when they showed up, they found 35 abandoned, starving and sick kids. After requesting the help of a doctor to take a look at the kids, the doctor said “these kids are in as bad of shape as I’ve ever seen, by the time you come back [to Haiti] half of these kids will be dead”. Debbie explains that after going home to the US, “I couldn’t do what I do because I couldn’t get those kids off my mind”. The couple decided they needed to do something to help, and a month after they got home, they set out to raise funds to get their new nonprofit Helping Haitian Angels off the ground. 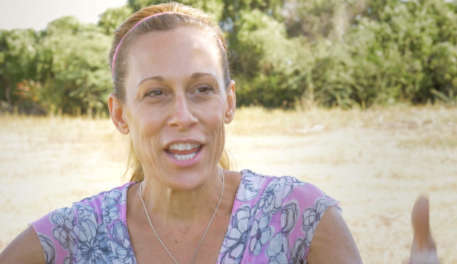 I got the chance to talk to the Founder, Debbie about how she was able to fundraise over $2M for her non-profit using, in large part two 7-minute videos. 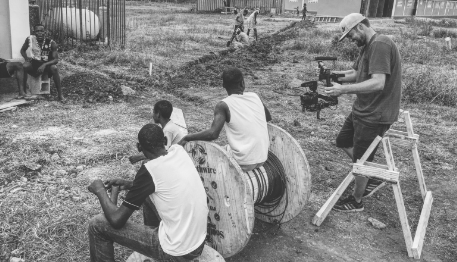 I also got the chance to interview TAR Productions’ Founder Tim Ryan to get some insight into how he created the video that was so successful for Helping Haitian Angels. This is the story of how she leveraged these videos with two unique fundraising techniques to raise millions in non-profit funding. Our hope is that after reading this, if you run a nonprofit, or a purpose-driven business, you can also leverage similar techniques to raise money for your organization and spread your message. Let’s meet Debbie and her non-profit. Debbie and her husband Bill started Helping Haitian Angels (HHA) after they returned home from that fateful trip. “Fast forward 9 years later, we have 60 kids, 40 staff, we have a school, a church, our orphanage, and sustainable farming,” Debbie says. Helping Haitian Angels provides medical care, food, shelter, schooling and clean water to the children they found in Dekle, Haiti. As the children grow older and move out of the orphanage, HHA provides jobs to both the men and women. The men are taught carpentry and welding and the women are taught sewing to keep them out of trouble and reinvesting in their community. That’s the challenge: the organization does so much that they needed a concise way to tell their story so that donors are compelled by the love they have for the Haitian children they’ve been helping for 9 years. How do you convey this emotion and love, along with explaining all of the different concrete things the organization does to potential donors in a concise way? This is where the power of video has been transformational to Debbie, Bill, and Helping Haitian Angels. Want a step-by-step guide how to tell stronger stories with emotion? They were able to raise $16,000 from this event. $16,000 is great as seed money, and it helped them get started, but to build up to a 40 person staff helping 60 kids, with a school, church and orphanage, they needed to find a way to scale fundraising. That’s when they decided to create a video to help them communicate their message to people beyond their face-to-face connections. 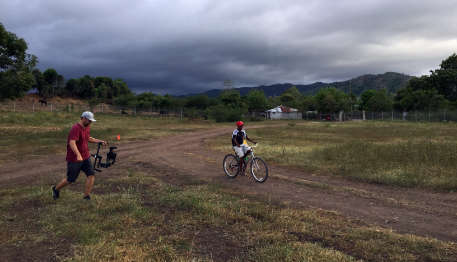 The key to a video being a successful marketing and fundraising tool for purpose-driven organizations like Helping Haitian Angels is that it needs to build an emotional connection with the viewer. Yes, of course, it also needs to explain some of the nuts and bolts of what the organization does, but without an emotional connection, the techniques below won’t work. When I sat down with TAR Production Founder Tim Ryan about creating this video for HHA, he said,“ When we did this for Helping Haitian Angels, we made sure to follow a story arc to keep the viewer engaged and create an emotional connection in order to hook and keep the attention of the viewer. The video needs a setup – where you learn the characters and establish the plot and the objective, then you need to introduce conflict (or the problem you’re solving), following the conflict, you take the viewer on a journey and reach a resolution (how you overcame the conflict), and then end with a call to action. What’s the resolution and call to action? The videos take Bill and Debbie’s cause, build trust with the audience, and share their passion for their cause in an incredibly short amount of time. Bill meets a lot of potential donors all the time, but it’s not easy to explain why someone should donate, and how Helping Haitian Angels stands out amongst the rest of organizations out there. If you ask for a donation immediately, it can feel forced and be a turn off. But if you don’t hook the potential donor early, you’ll be forgotten in a sea of other options. So Bill and Debbie figured out that if they use the video as an initial introduction to HHA, the emotion and story will hook a donor. Then, they can ask for donations later. They found that this was a much more effective in educating someone why they should donate to the cause. Many nonprofits might have a great story, elevator speech, PDF or business card, but the problem with a lot of those assets is that they don’t build emotion. What’s compelling about HHA, as you can tell from the video is the people aspect and the love that Bill and Debbie have for the kids. The video is great tool to show that love they have and the real things they‘ve accomplished. 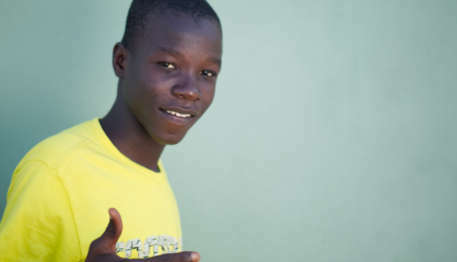 As Debbie says “It allows people to see our passion, which in turn touches people’s hearts, which in turn gets people to write checks.” Helping Haitian Angels wanted to move hearts and minds and get people to take action. The video serves as the introduction to the organization, its values and it’s mission. From there, people have a better understanding. Then Bill follows up by email or phone to ask for someone to write a check. While the first technique involves sending the video out, the second technique uses the video when donors are first invited in, via a gala or event. Building off of the success of their initial party, Bill and Debbie experimented with an annual fundraising gala 6 years ago and have continued to do it every year since. The video is a key part of this event. For anyone attending, the video is one of the first things they see. Similar to how it’s used in the outreach technique, it instantly introduces them to the organization, the emotion, and their mission. Debbie says while “most people [who attend an event] have seen [the video], if there’s 10 people in the room that haven’t seen it, it’s worth it for them. They play the video at the beginning of the event so that attendees can understand the purpose behind the gala, and then people will donate various amounts of money throughout the night. The two videos have been so successful for HHA that they plan to create a third one this year that will educate people on all of the accomplishments they’ve made in their last nine years. If you’re a marketing director in charge of spending dollars where it counts, you’ve already shifted your focus to video because it works. But we bet you knew that already. That’s because video converts. Whether you’re talking about email leads or sales, video improves conversion rates across the board. And that’s why it’s now impossible to log onto Facebook or Instagram without seeing the latest product launch video from a big national brand. Take Whole Foods’ recent “We Believe in Real Food” campaign. With shots of glistening vegetables and happy families, this slogan reveal makes all the right moves for Whole Foods’ customer base. Sure, this video reminds Whole Foods customers what they already value – fewer preservatives and artificial colors in their food. But it doesn’t do any storytelling work that will prompt customers to share the video with friends or influence purchasing decisions. Still: how do you convince your higher-ups to take a leap and invest in an expensive asset like video storytelling? At TAR, we believe that shifting your marketing strategy to include story-driven video is one of the best ways to maximize your ROI. Dollar-for-dollar, high-production video transforms your brand’s ability to connect with your customers. Stories help consumers make emotional connections with the mission or purpose of a brand, and emotional connections inspire action, personal transformation, and deep brand loyalty. So don’t get left behind as other brands make the leap to story. Take advantage of powerful storytelling to elevate your brand – and outmaneuver the competition. Not only do we have the client experience to prove why a storytelling strategy works, we can help you nail that next pitch meeting with the VP and bring them on board with your vision. Download our Marketing Director’s Cheat Sheet on how and why stories sell for the numbers your boss needs to see during your next one-on-one. When we talk about story at TAR, we have a specific idea in mind: video content that dives deep to bring out your company’s purpose. The thing is, a single impression of your brand isn’t enough – not when we’re exposed to 5,000+ images every single day. Think about it: how many slogans like Whole Foods’ “We Believe in Real Food” campaign do you hear every day? How many more do you immediately forget? Neuroscience shows that storytelling cuts through this noise, while data aimed at persuading your audience slips by forgotten. Whether you want your audience to click the “buy” button or sign up for a newsletter, stories – not facts – have the power to influence decision-making. A plot that introduces a relatable character, lays out the goals of your company, and establishes your unique worldview. A good plot, like any juicy story, will help customers remember and share what you have to say. A hero who helps your audience identify with your brand. A conflict for the character to overcome. This could be the problem a character encounters, or the hurdles faced by an organization. A “hero’s journey” where the character triumphs over conflict, and your audience becomes invested in the outcome. A resolution that inspires your audience to forge an emotional connection with your brand and take action. In the world of fast-paced digital and TV advertising, it’s easy to overlook character. But savvy brands use character to their advantage. Just take Flo, the spunky saleswoman for Progressive Insurance. She’s a memorable recurring character you want to root for. Flo goes above and beyond for her customers – just like Progressive will, the ads imply. That’s a character – and a company value – customers connect with, remember, and share. Emotional connections also get to the heart of brand authenticity. In a survey conducted by Bonfire Marketing, 91 percent of customers identified brand authenticity as more important than the usefulness of the product or service itself. If you’re not creating an authentic connection with your customer, you’re letting leads walk out the door without sealing the deal. 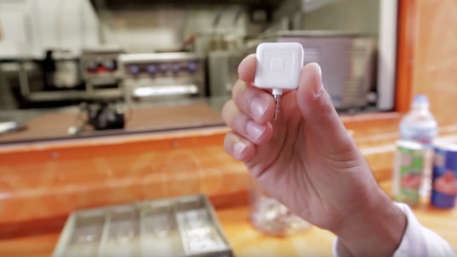 Because without a personal connection, 71 percent of customers will keep their wallets in their pockets. Facts can’t make these authentic connections with customers – but stories can. At TAR, we craft narratives about the most authentic part of your brand – why you exist as a company. We want customers to feel good about you and how they relate to your brand – and we know this is impossible to do without a good story. Brands like Budweiser and Patagonia already know this, which is why their campaigns focus on forging authentic connections with their customers through the power of storytelling. They offer customers the chance to connect with the brand’s values, whether that’s the power of building a business against the odds or making gear that outlasts a customer’s adventures. If you’re ready to play in the big leagues, use story to unlock the most powerful emotional tool in your marketing arsenal. Only story opens a direct path to your customer’s decision-making. And that’s not a sales pitch – that’s a fact. Why do we feel strong emotional connections to video marketing campaigns like Budweiser’s recent Super Bowl ad? Resolution (meeting a compatriot, Mr. Anheuser, and starting their company). The result? An effective, emotional advertisement that encourages viewers to support Budweiser as they would support the American Dream. Neuroscience explains why Budweiser’s ad is an emotional home run – and why it’s such a successful pitch. We know you don’t have time to crack open a textbook, so take a gander at this TEDx talk from Simon Sinek, a leadership expert and author of Start with Why: How Great Leaders Inspire Everyone to Take Action, instead. In his address, Sinek suggests that inspiring innovators like Apple communicate by explaining their purpose to consumers – their reason for existing – before making a sales pitch. “Everything we do, we believe in challenging the status quo,” says Sinek, outlining his version of Apple’s ethos. This sales method is effective because it taps into your limbic brain, the system that prompts emotional responses that move you to take action. It’s even more effective than explaining why your product adds value. “When we can communicate from the inside out,” or from why to how to what, “we’re talking directly to the part of the brain that controls behavior, and then we allow people to rationalize it with the tangible things we say and do. This is where gut decisions come from,” Sinek asserts. Like Sinek, we believe companies that appeal directly to the emotions of consumers before driving home rational selling points are more successful than those who don’t. Storytelling is the most powerful way to connect with your customers because stories help them identify with your brand’s purpose. And you just can’t communicate your company’s purpose without building a compelling narrative. Facts and figures alone won’t compel your audience to act because we don’t remember data without a story to back it up. At TAR Productions we go beyond traditional marketing strategies by using story to tap into your customer’s emotions. Sure, traditional strategies – teaser videos and product explainers – can be successful. You may even close more sales when you post a video that shows off a pair of shoes or takes a customer through a house. But a purchase or a click doesn’t guarantee your company will be memorable ten minutes down the road. Clicks don’t inspire brand loyalty. Stories help customers remember and connect, and you can use them as part of your video marketing strategy to drive traffic, leads, and sales. For TAR, storytelling is also about more than selling products or services. We want to help you reach potential supporters, from corporate partners to potential employees and volunteers. Unlike data points, storytelling assets help your company lead a conversation about shared values and identify crucial players for your future success. By targeting your message to an audience that shares your beliefs, you’ll have a direct pathway to their hearts, minds, and wallets. But hey, don’t thank us. Thank the limbic brain! Need a takeaway to remember how the science works? Our Marketing Director’s Cheat Sheet has your back. No matter what your brand is, when you develop stories that provoke, inspire, surprise, or excite you’ll have instantly shareable content that helps move your audience. How do you build a compelling story around financial services that prompts an emotional response from an audience? Especially when advertising-savvy audiences pick up on a company’s efforts to sell to them – and tune out these appeals? At TAR Productions we like unlikely – and we believe that story can work for everyone. 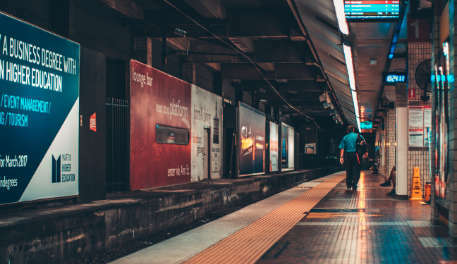 Story works more effectively than a print ad or a billboard, which doesn’t offer your audience a chance to connect. Stories make audiences feel something, make them identify and respond to the company itself, and those emotional connections are more valuable than traditional advertising dollars. Our job is to showcase the ethos of your company and help your audience connect with that worldview – and that’s exactly what Principal Financial did. Their idea is simple: Principal’s financial services exist to help customers weather the ups and downs of their everyday lives. The company’s ethos is built around accessibility, helpfulness, and a strong ethical backbone. At the same time, the video suggests, “you” never forgot your Midwestern roots or your devotion to helping individual consumers. In a series of diverse portraits, the video provides a glimpse of what these individual customers look like. We see a young man holding a dog, a middle-aged woman with a bright red scarf, a weathered man wearing a cowboy hat. “Ah!” thinks the audience, “these people look familiar. They look like the people I work with or who live in my town – they even look like me.” They’re relatable. In this way, the hero of the story is both Principal Financial Group – the principled financial services provider – and the audience member, who identifies with and recognizes those principles in their own worldview. When posed with a potential conflict – is the company growing too big or too fast, causing them to forget the “little guy”? – the video focuses on meaningful images of individuals. This gives the audience member an extra opportunity to identify not only with the principles of the company, but also with the customers they serve. By resolving unstated concerns that a multinational company might not “care” about individual consumers, the video helps its audience members leap over a potential customer-service hurdle, identify with the company’s core values, and feel connected to the very people that company serves. Now that’s a story to get behind and remember. Plot, in the historical growth of a company focused on helping people with everyday problems. Character, in this case, both the financial group itself and “you,” the audience member. This move makes audience identification with the company incredibly easy. Conflict, in the potential for a large company to leave behind its everyday customers in service of bigger, corporate interests and more profit. And there’s resolution, in a dedicated return to the individual consumer. Because helping individual people is the right thing to do. While there’s plenty of data woven into the video itself, from the number of customers to the number of countries the company serves, the piece isn’t pushing this information to convince potential consumers to sign on. That’s because the video identifies Principal Financial Group’s “why” before trying to sell the audience on the benefits of working with the company. The Principal Financial Group video – like all well-told stories – emphasizes audience identification and inspires feelings of trust, recognition of shared values, and connection. The more a customer identifies with a company that helps individuals, the more they’ll feel like they can trust – and work with – that company as an individual. Stories like this help bypass a consumer’s natural distrust of advertising. At a time when only 4 percent of Americans actually trust the integrity of media or advertisers, storytelling is a natural bridge for overcoming skepticism and distrust. And for turning clicks and views into dedicated, loyal customers. When we bypass a consumer’s defenses against advertising appeals with story, we appeal to something bigger and more important than their impulse to spend money. We appeal directly to who they are – or who they want to be. And we help that consumer or audience member connect with the company that’s the right fit for them. Because video is such a memorable medium, it’s the perfect way to tell an authentic story about your company that will attract customers who value honesty and transparency. In other words, when you show your company’s true colors, you start attracting the right clients. That’s the mutually beneficial relationship the Principal Financial Group offers its audience – transparency about values and the sense those values are shared between client and service provider. And if Sinek taught us anything, it’s that no amount of data in the world could make that connection stronger. It’s the kind of job only story can do. When we start working with a client, it’s our job to suss out their storytelling needs and match them to specific company goals. Want to inspire donations by showing how your organization helps individuals in need? That’s what our client Helping Haitian Angels needed to accomplish, in order to continue their life-saving work in Haiti. Launching a new campaign to expand your business? That’s exactly why we started working with Peter Harsch Prosthetics. One of the best prosthetists in the U.S., Peter Harsch was poised to land major national and international clients – and, with our help, they did. The process of matching organizational goals with compelling stories isn’t always a straightforward one, as you’ll see below in our case studies. It’s an ongoing collaboration between our team and our client, as we learn all about who you are, where you are right now, and where you’re headed in the future. We know the right questions to ask to get things rolling – and how to bring out the stories even our clients didn’t think were there. We dive into the heart of what makes you tick and uncover your brand’s perspective, so we can help you find the customers that will remember, respond to, and share that perspective for years to come. How do we do it? Take a look at two of our most successful brand campaigns to see how storytelling changes hearts and minds – and helps you hit your financial targets. The Harveys didn’t have time to explain the details of their mission to every single potential donor over lunch. They were busy building housing, establishing classrooms, organizing vaccinations, and spending time with the kids, loving each child like their own. Before meeting with new donors, the Harveys asked visitors to watch our film, so they could see the challenges of life in Haiti first-hand. 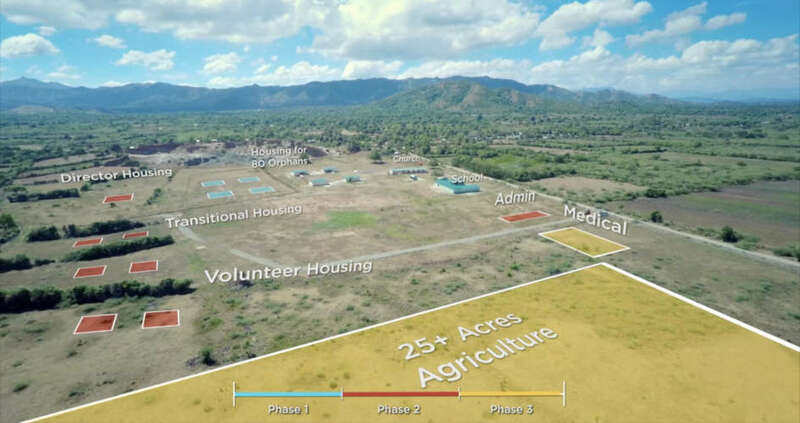 The Harveys wanted potential donors to connect with the Haitians who benefited from ongoing financial support and give donors a sense of pride in contributing to the project. Over the course of the video, it’s easy to see this is true – how excited the children are to hug Debbie, how interested they are in their schoolwork, how proud they are to help build their school. By telling the story of the deep need for the services provided by Helping Haitian Angels, we could help HHA appeal directly to donors who identified with their mission. We shared their “why,” or purpose, so potential donors with the same worldview would identify with and support their project. 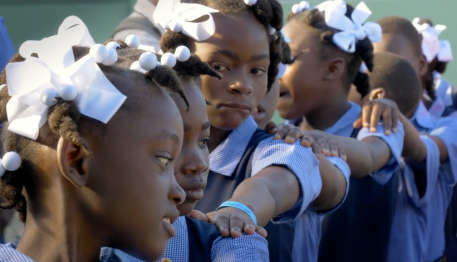 We also emphasized the unique aspects of HHA’s three-year plan, from involving Haitians directly in the organization’s educational and health initiatives to expanding its services with support from the Haitian government. It wasn’t enough to show the drive and commitment of the Harveys and their volunteers. We also wanted to show the individual children who meant so much to the organization – who, in essence, made up the “why” of the Harvey’s work in Haiti. 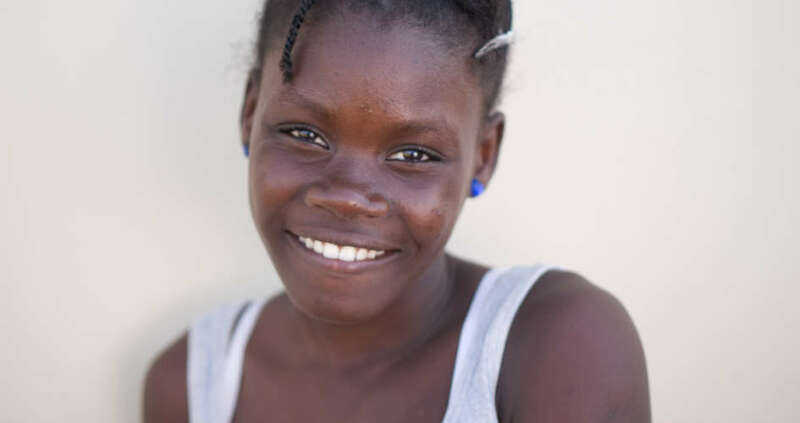 Adeline’s words represent the larger ripple effect that the Harvey’s organization has created throughout this Haitian village – and invites donors to take part in this process. As HHA discovered, these direct appeals to donors work remarkably well. Between 2010 and 2014, our film became the centerpiece of their most successful fundraising effort ever. 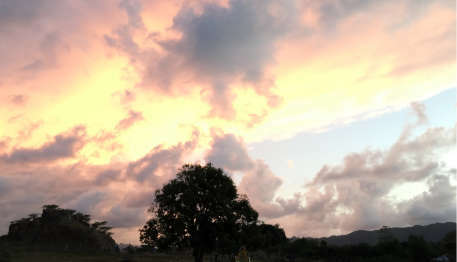 Viewers could easily see the positive change HHA brought to Haiti, and the film generated millions of dollars in donations. This included major donations of $100K and $250K that allowed the Harveys to continue – and expand – their impact. Some of their largest benefactors decided to donate after watching our film, without ever needing the lunch meeting other than to hand over a check. We’ve been to Haiti twice with HHA and made two films for them. They’re making change at such a rapid rate that, unfortunately, any film we create becomes less relevant 3 to 4 years later. For example, the original need for HHA to build a medical clinic evaporated. Not only do the children now have regular check-ups and immunizations, but the entire community now has access to these services, too. As HHA continues to create change, their story evolves. We’re honored to work with them on a third film later this year to capture the next chapter of their exciting journey. Peter Harsch is among the top prosthetists around the globe, with an incredible reputation that reaches from the U.S. Military to amputees worldwide. Crafting a prosthesis is precarious, detailed work that affects the comfort of everyday life for amputees. Prosthetists have to fit, refine, and refit prosthetics on a continual basis, especially as athletes train and gain muscle or lose weight. But there’s a reason Peter was the No. 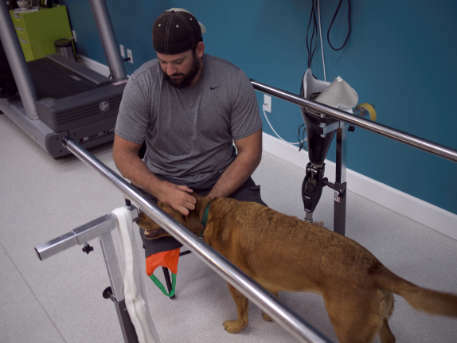 1 prosthetist at the Naval Medical Center in San Diego, CA – one of the top places active military members are sent after losing a limb in Iraq or Afghanistan. Harsch’s hands are like gold, and he can fit amputees with more precision than anyone else working in his field. When we met Peter in 2012, he was ready to launch his own prosthetics company and leave the bureaucratic red tape of the Naval Medical Center behind. He wanted to do more for his patients than he could at the medical center – and he needed a way to explain to potential clients how and why he’s moved to do his work. Our aim was twofold: tell the story of Peter’s company in a way that demonstrated the inspiring success of his clients, and help Peter achieve his organizational goal of expanding into new markets west of the Mississippi River. 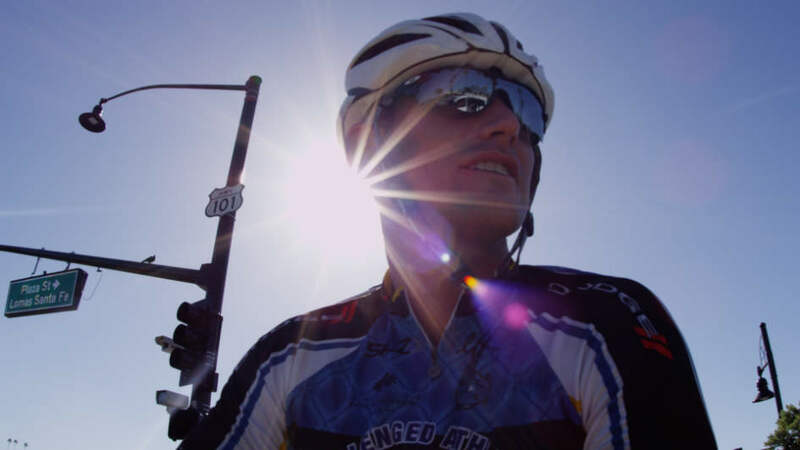 In our video, “Active Life Goes On,” we tackled a complicated narrative. Not only did we tell the stories of three amputees whose lives changed after working with Peter, but we also demonstrated the drive, commitment, and passion of Peter himself. As the audience learns, Peter’s company not only believes this is possible for amputees, but that it’s vital for their emotional and physical well-being. At the heart of Peter’s message is the idea that active life goes on, even after you lose a limb. There’s Eric, who, with Peter’s help fulfilled his long-term goal of completing an Ironman – prosthesis and all. And there’s Levi, who soars over the earth on his dirt bike. Combat veteran Daniel surfs and skis with remarkable skill. This is Peter’s deeper why, and it’s something we’re able to share more effectively in a short film than in a print advertisement in a magazine or a short commercial. You can watch his mission statement unfold in a longform video. These amputees aren’t just surviving, they’re thriving – and you can see it in the way they talk, run, and conquer their goals. As a result of our collaboration with Peter Harsch Prosthetics, the company contracted with multiple international governments’ Wounded Warriors programs – worth millions of dollars in revenues. 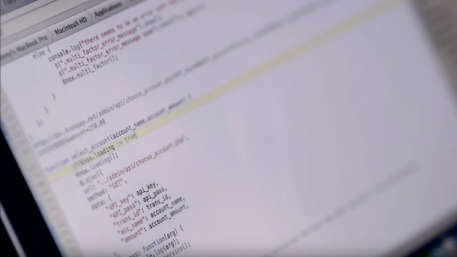 PHP is also sought out by amputees from around the U.S.
And while Peter’s talents are obvious to those who work with him, capturing his skill and dedication on video speaks volumes to prospective clients – even when Peter’s not sitting across the table. Because emotion moves people to take action – to care, share, and become a fan of your brand or service – storytellers have the ability to shape the outcomes of video campaigns more dramatically than ever before in history. The stories we tell at TAR Productions are intended to be used for months and years to come, and to have a lasting impression on your audience. As Sinek explained – and as we hope we’ve convinced you – facts and figures can’t do this. Only story can. What’s more, data demonstrates that this strategy works. Video storytelling is more memorable to consumers, while video itself is guaranteed to improve your click-through rates, online visibility, and influence sales. From a marketing perspective, that’s pretty much a perfect combination. Check out our Marketing Director’s Cheat Sheet on what the kinds of stories TAR creates can do for you. To be fair, the stories TAR creates aren’t for everyone. They’re for a specific, intended audience who connects to and appreciates the story – and the worldview the brand promotes. That can be an inclusive worldview, like Principal Financial Group’s belief that helping individuals is the best way to effect economic change. Or the targeted belief of prosthetist Peter Harsch, who knows that life doesn’t stop after you lose a limb. Having a perspective is how stories spread and audiences grow, from a small core of dedicated believers to a worldwide army of consumers. To tap into that powerful energy, you have to understand what drives your company to do what no one else but you can do. That’s something we’d love to talk with you more about. Contact us today, and we’ll start uncovering who you are – and telling your story.